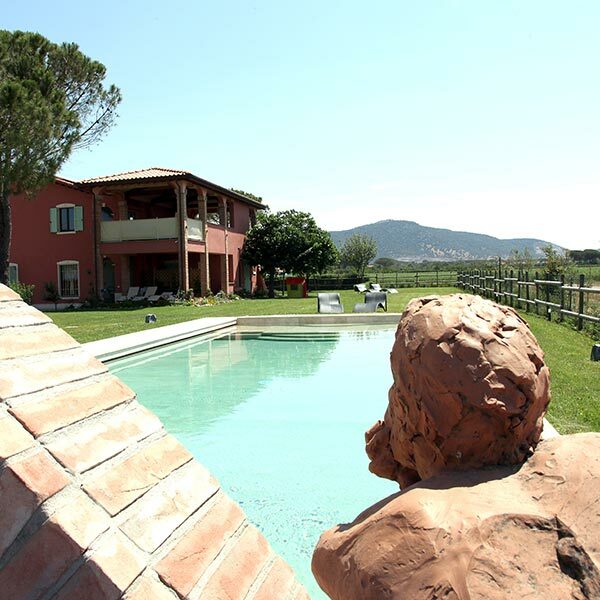 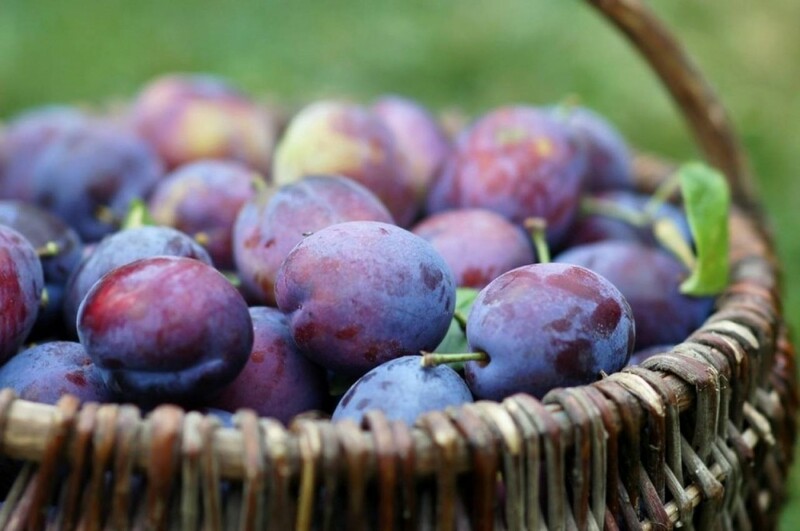 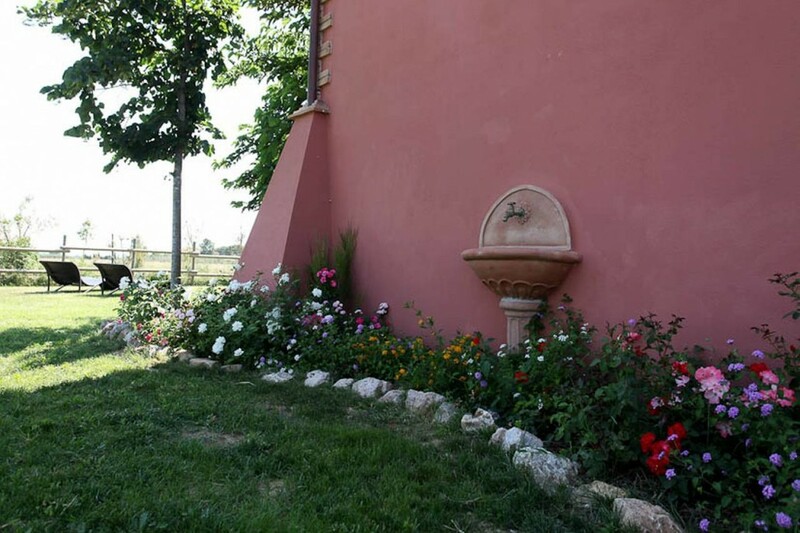 In that part of the “Tuscan Maremma”, land of the Etruscans, the farm “Borgo San Giuliano”, is a destination for the selected guest who wants to enjoy the countryside and the nature without giving up the privileges and exclusive services. 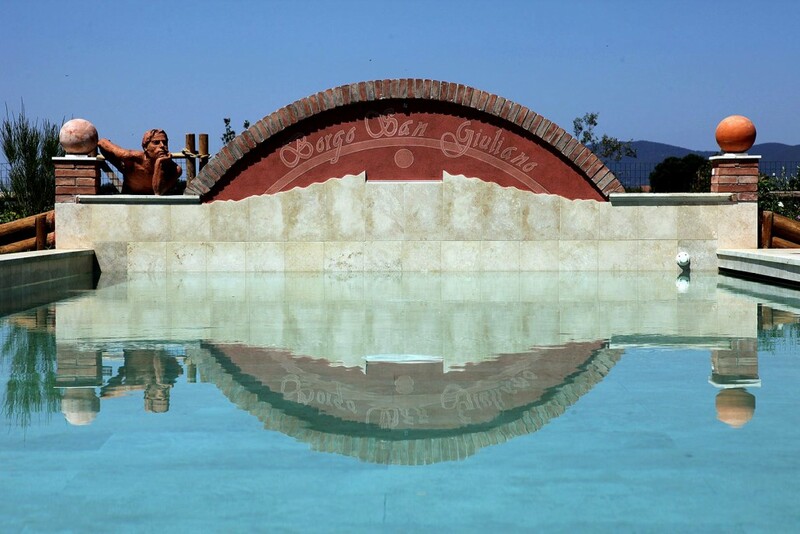 Our aspiration is to guarantee you a vacation tailored, offering a quality service to satisfy your wishes. 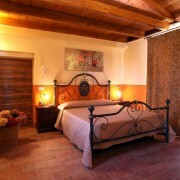 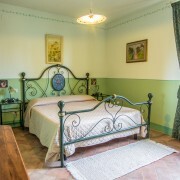 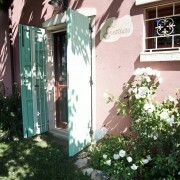 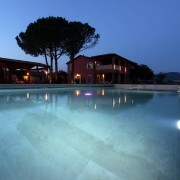 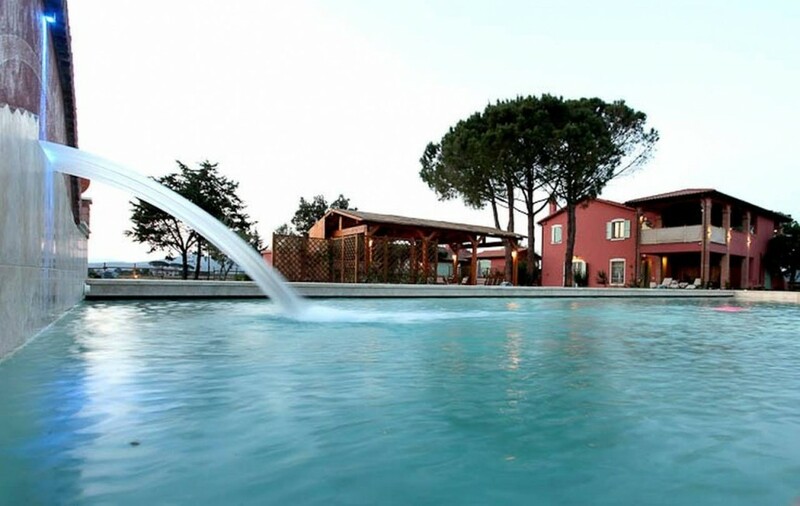 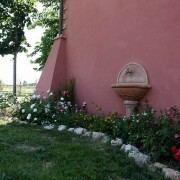 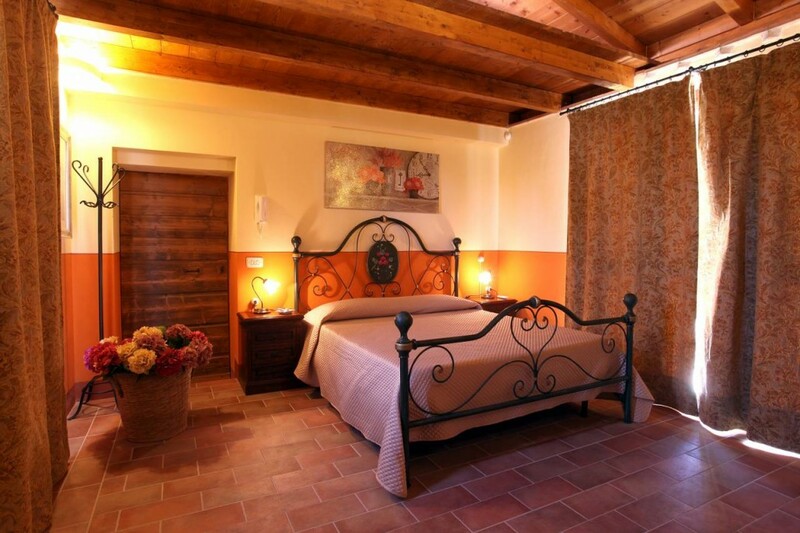 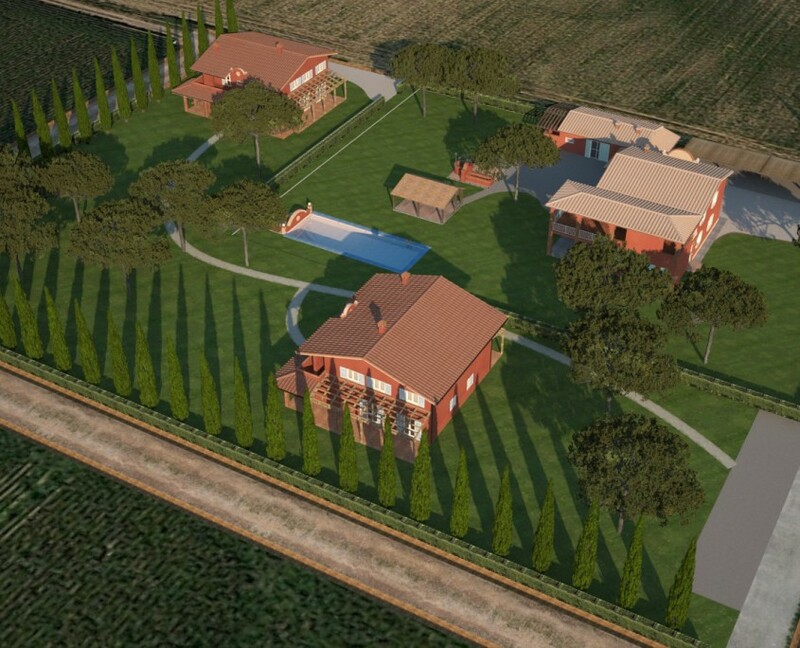 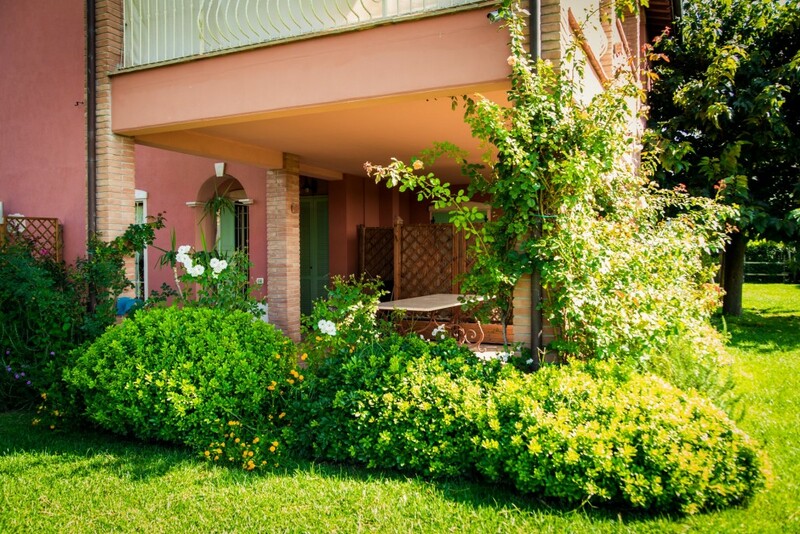 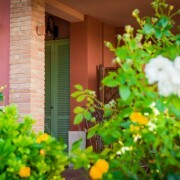 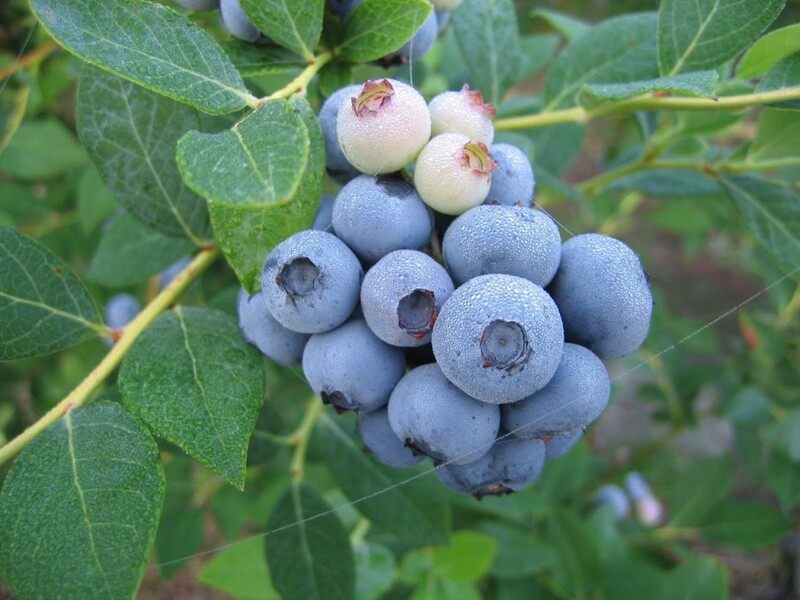 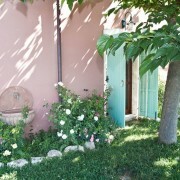 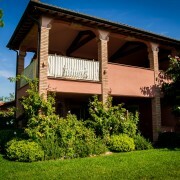 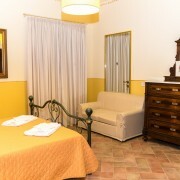 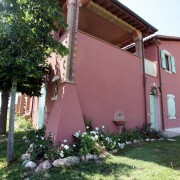 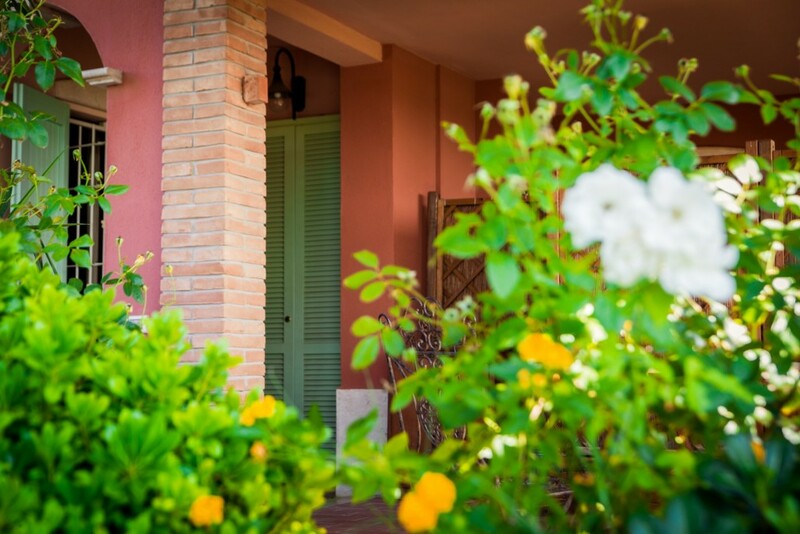 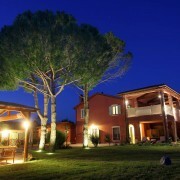 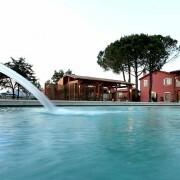 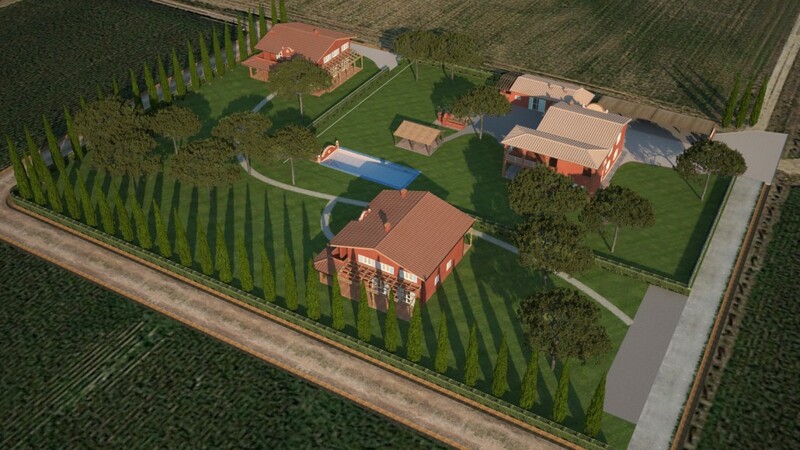 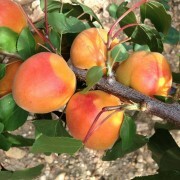 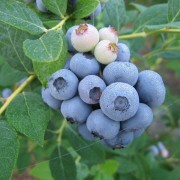 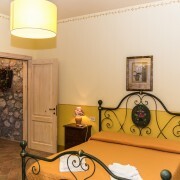 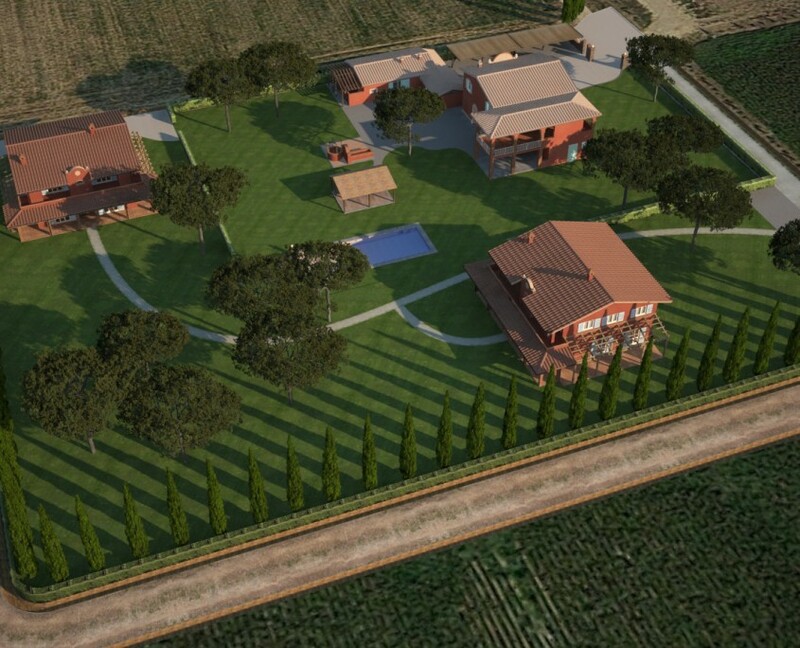 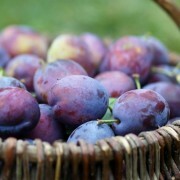 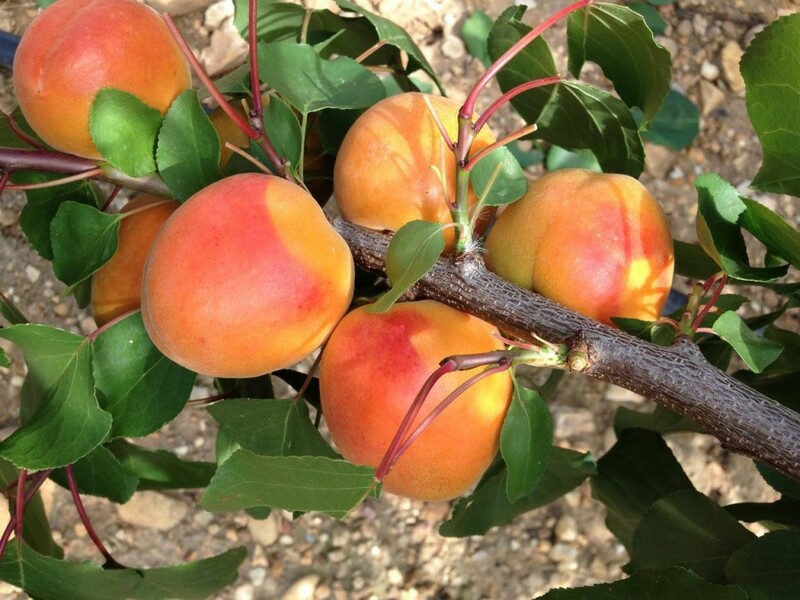 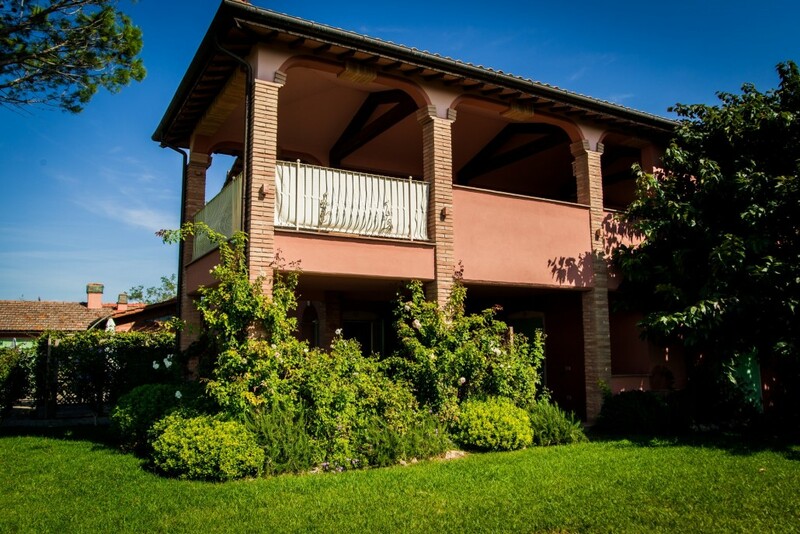 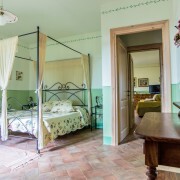 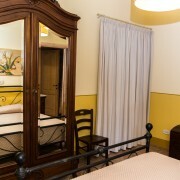 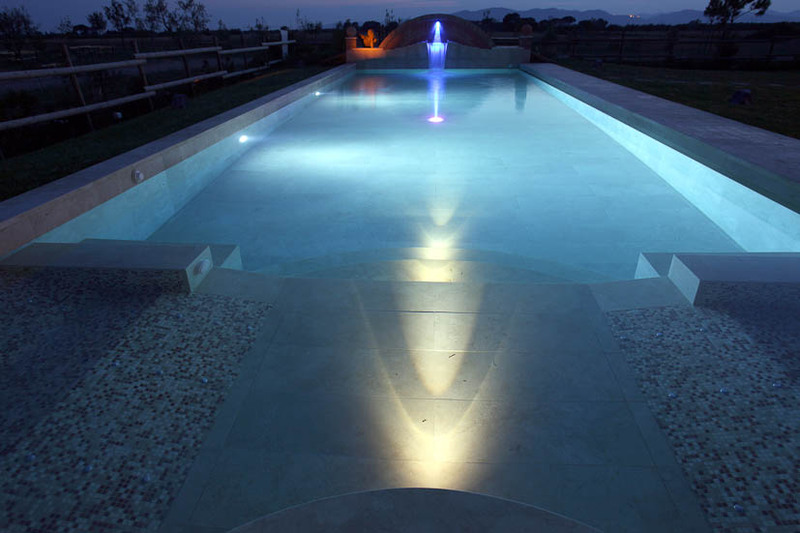 Borgo San Giuliano is located in open countryside, close to Roselle Terme (Km 1.5) and the city of Grosseto (Km 3). 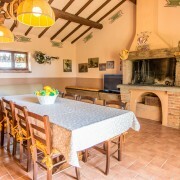 Within 15 kilometers away with the crown of the sea islands of the Tuscan Maremma Natural Park, The River Park of Ombrone, numerous golf courses, the Etruscan sites of Roselle and Vetulonia, the ‘civilian airport of Grosseto, runways for light aircraft, wine tasting tours, and the whole Maremma, with its hills, its pine forests. 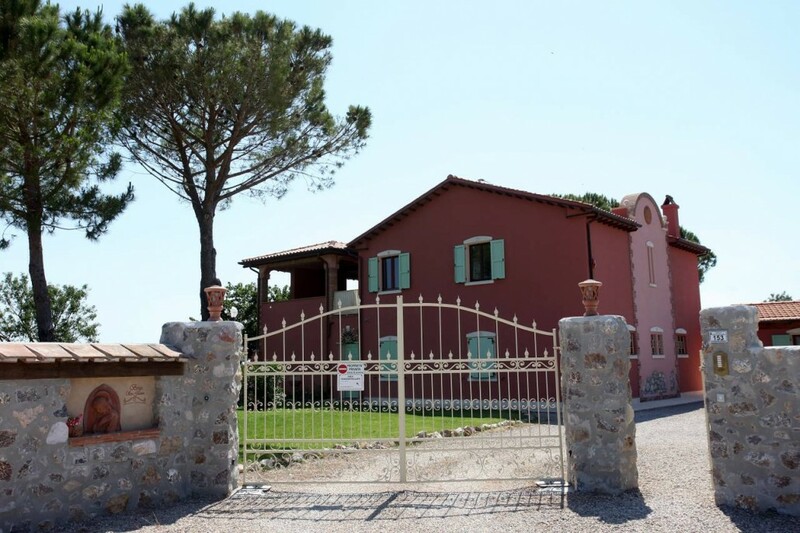 long the “Via dei Cipressi”, a gravel road 300 meters long, take you to an iron gate and stone walls, typical of our land of Maremma, which are the entrance of the “Borgo San Giuliano” and part of the fence of the houses. 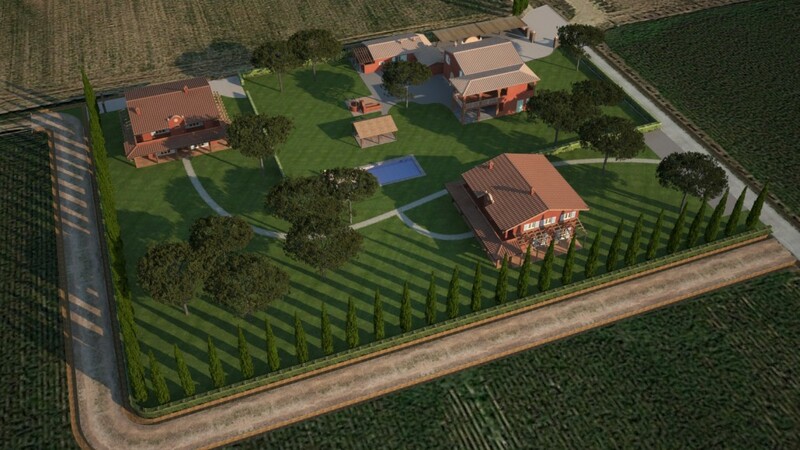 The distance from the road and the adjacent hamlets, creates a visual and acoustic barrier to enjoy an absolute privacy. 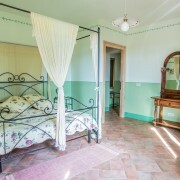 For a holiday that we want exclusive for you, in the context of our farm, you can rent the entire house with porches and balconies, gardens and pool, typical of our rural architecture, but also it can be divided into independent accommodation of smaller size, from one to four rooms, singly rentable. 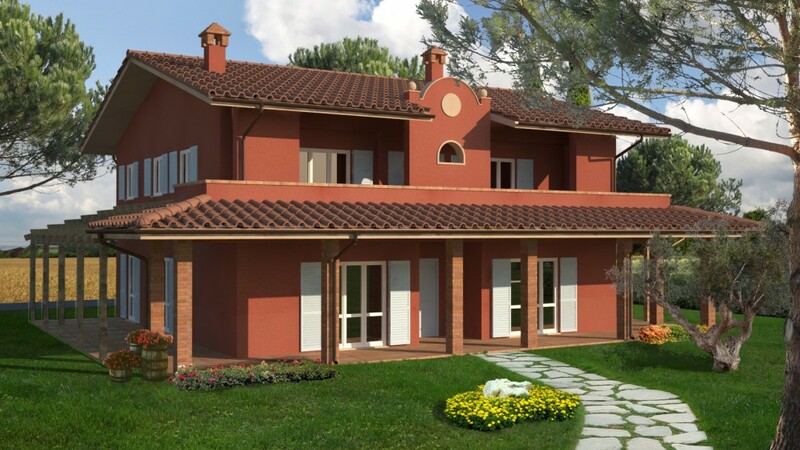 The villa “maremmana” surrounded by about 6,000 square meters of garden, fenced and lined with trees, is composed of two buildings with appliances covered of 350 sqm, divisible on request in 4 or 5 fully independent apartments, four on the ground floor and one on the first floor. 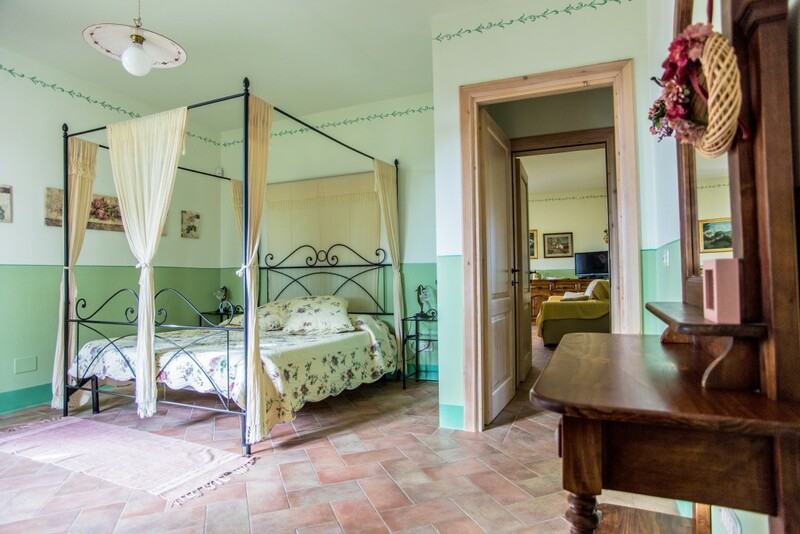 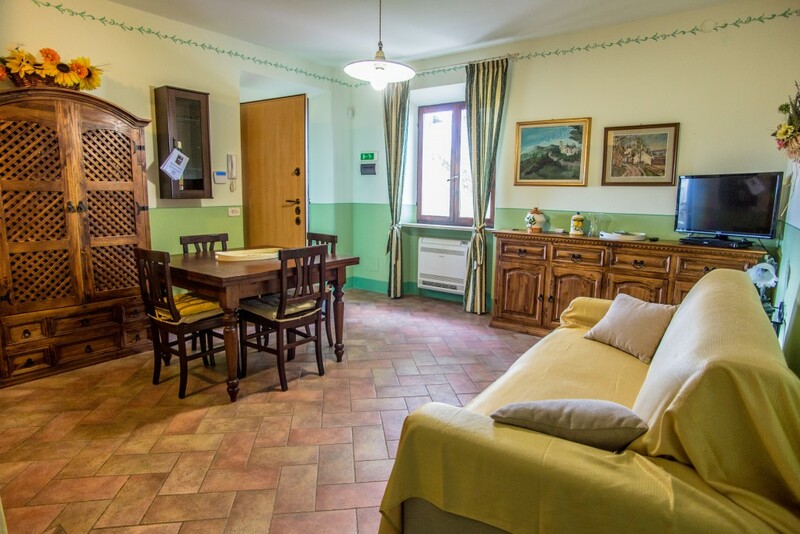 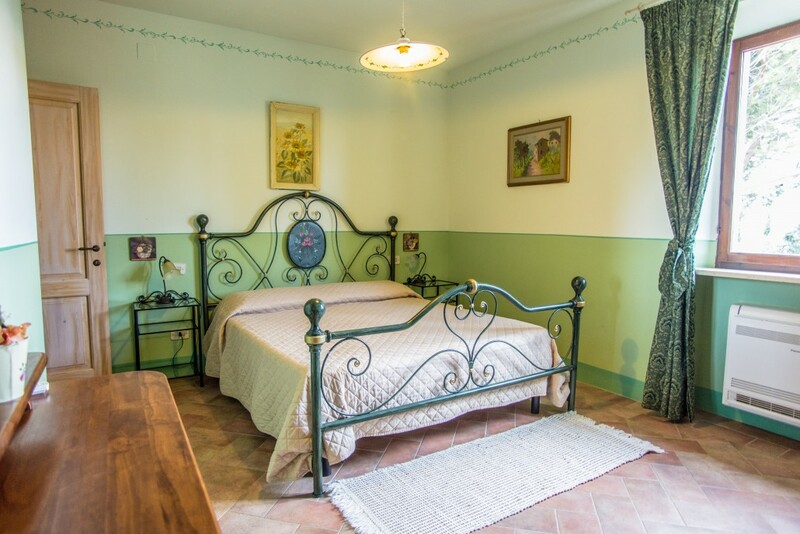 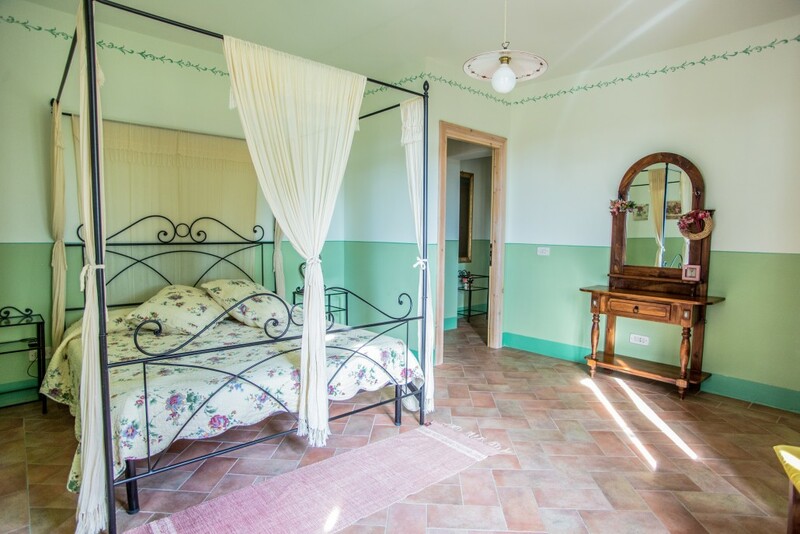 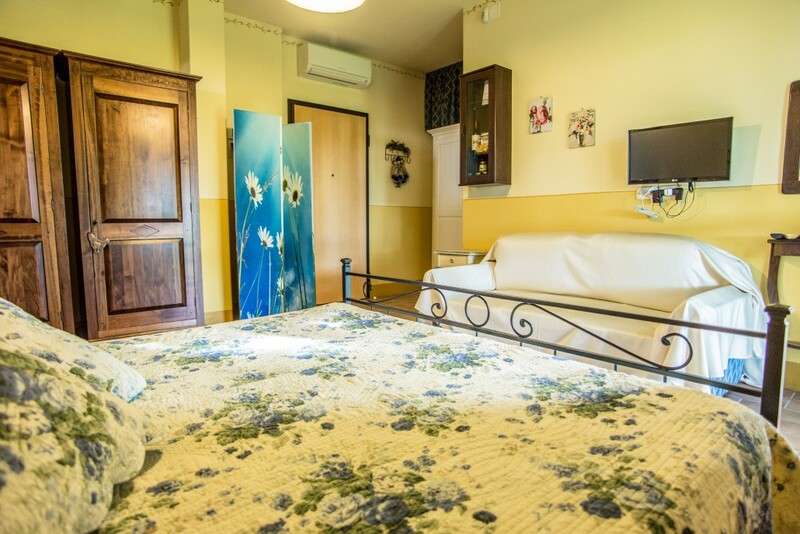 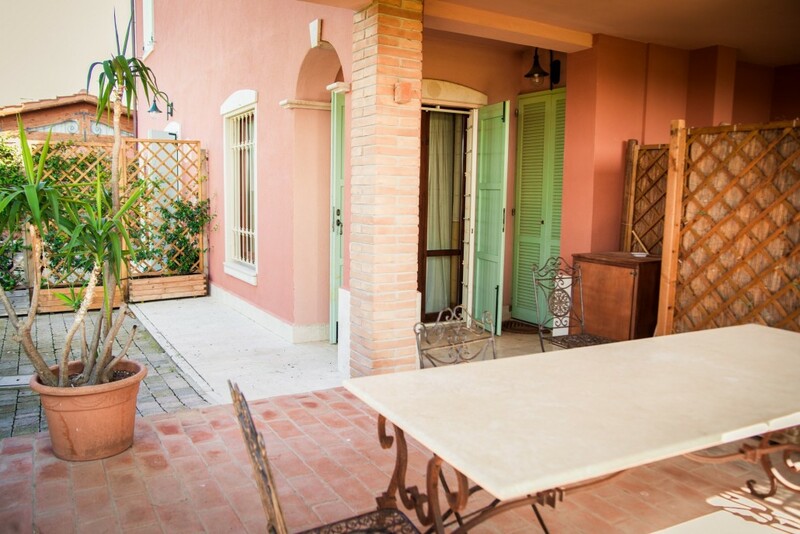 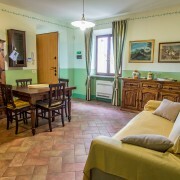 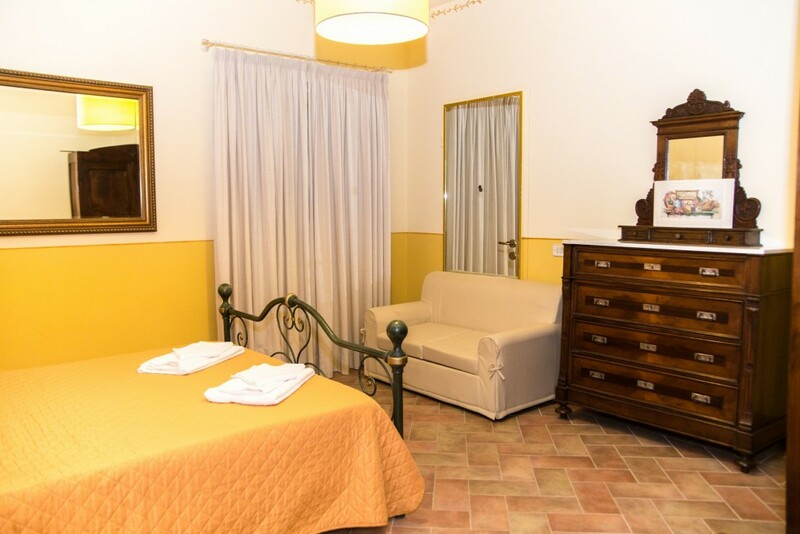 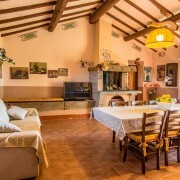 Each studio apartment, one bedroom apartment, three rooms and four rooms apartment, is tastefully decorated in a ”maremma country side style”. 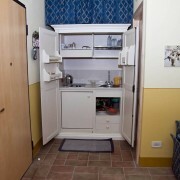 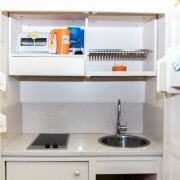 Some of them have a style kitchen with ceramic hob or gas burners and electric oven, some of them have hidden kitchen. 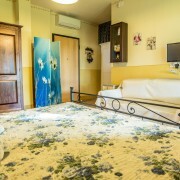 All apartments have air conditioning in every room, air purification system, shower or even hot tub, electronic safe withcode, satellite tv led 23 to 40 inches, cushions and bedspreads withmatching curtains, volumetric alarm system connected to the control of private police “Griffon”. 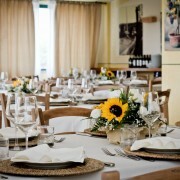 Your wedding is a unique and special time for this Borgo San Giuliano offers unique and unforgettable spaces to celebrate one of the most important moments of your life in style and in the Tuscany’s natural countryside. 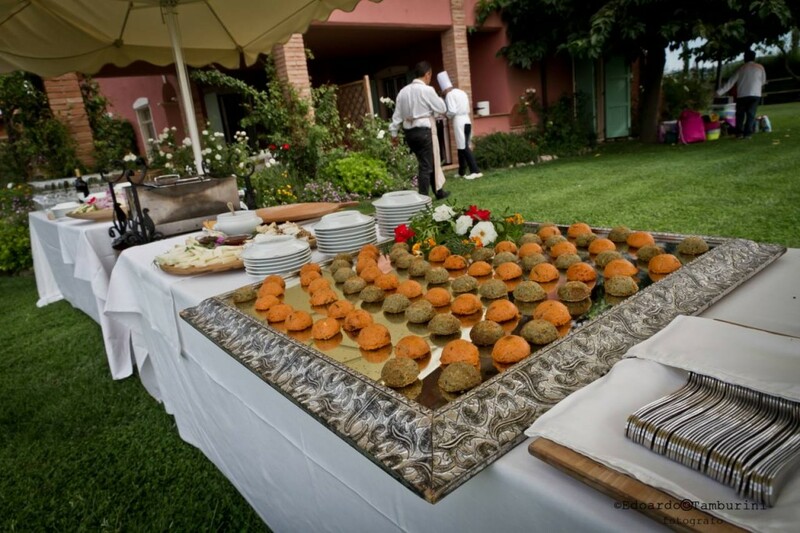 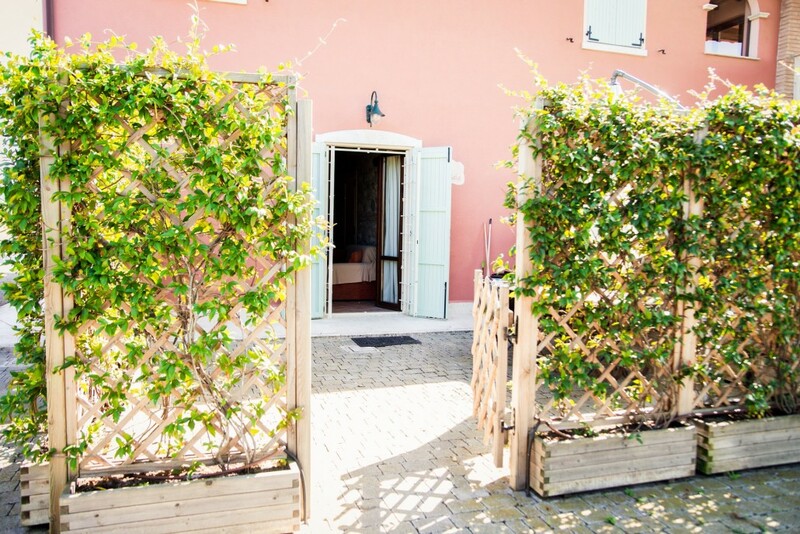 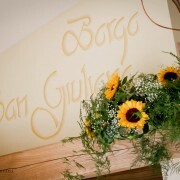 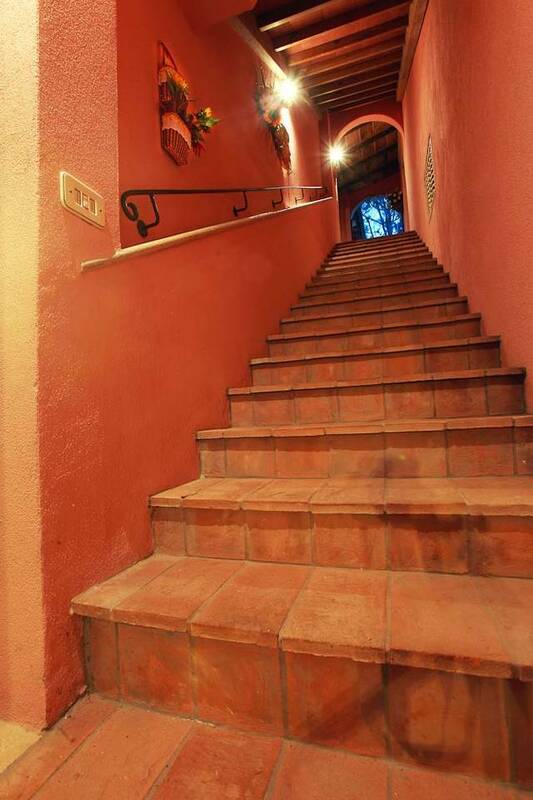 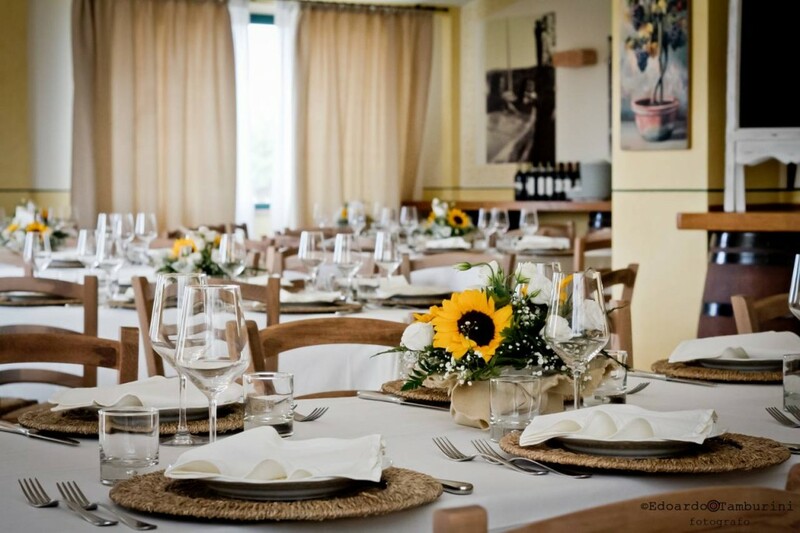 Borgo San Giuliano presents an ideal location for events with a high number of guests all year round. 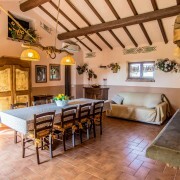 The location within its structure, offers a ceremony room with kitchen just realized that keeps the style and the materials used in the construction of the villas. 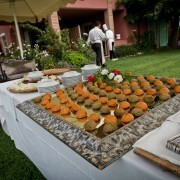 It can hold up to 80 guests. 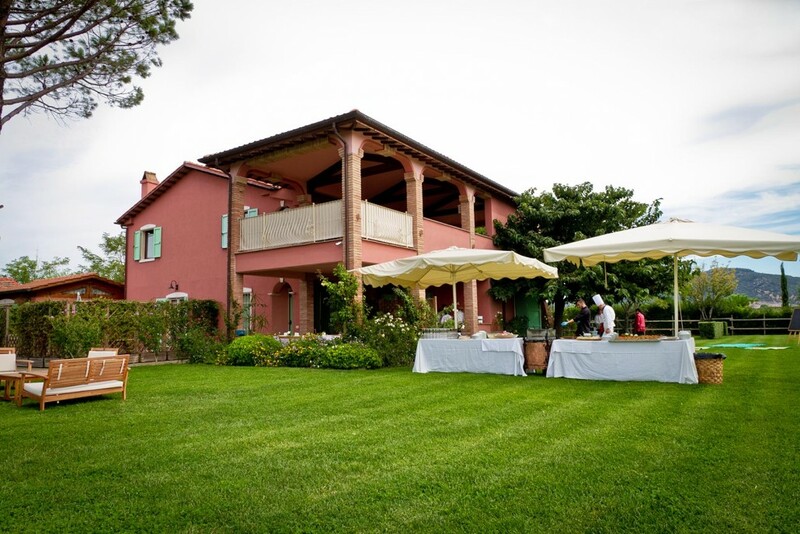 Outside it, in the large garden where you will find a charming gazebo and a fabulous swimming pool, you can set up your outdoor wedding reception taking full advantage of the natural surroundings in the warmer seasons. 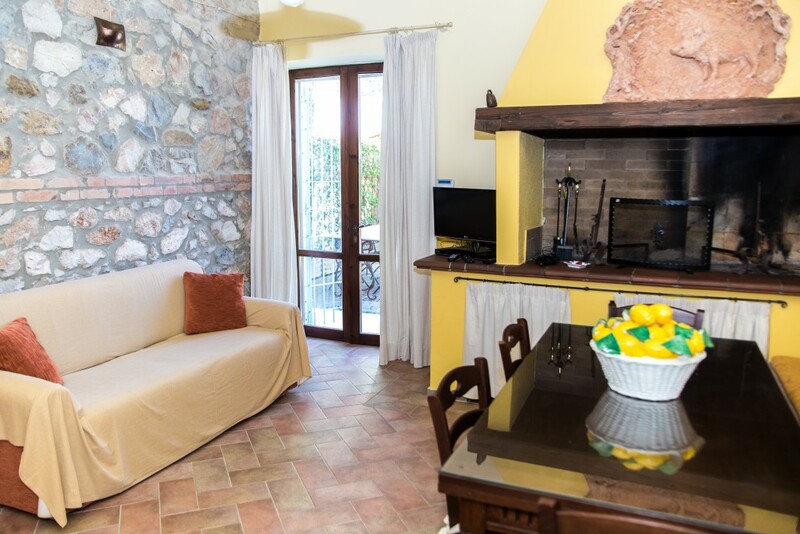 The structure offers its guests two comfortable villas consisting in independent apartments of various sizes to suit all needs: one, two, three rooms and four rooms. 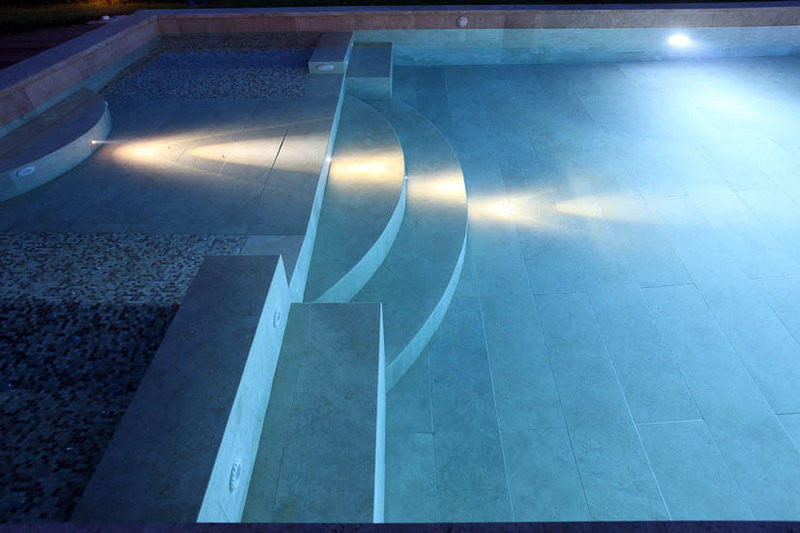 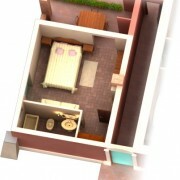 The pool villas can also be rented in its entirety for complete privacy. 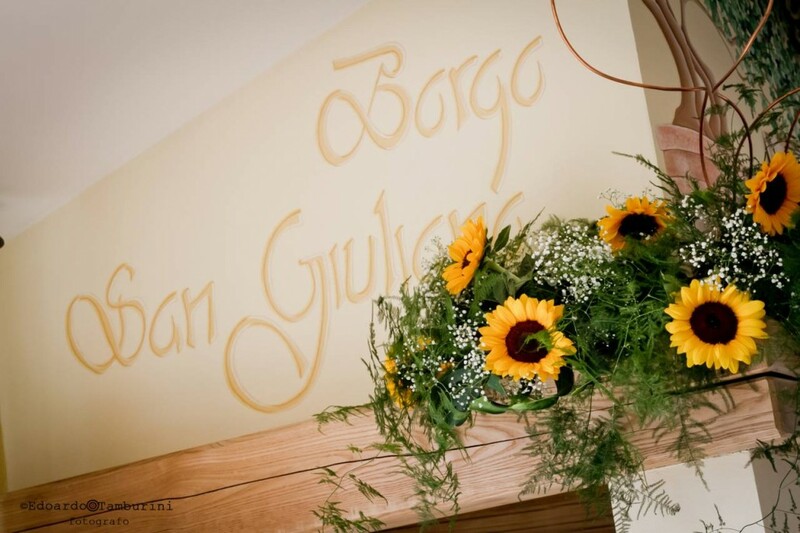 At Borgo San Giuliano it is available a careful and experienced staff ready to help in the planning stages of your wedding, helping in the choice of suppliers and equipment, for the big wedding day by coordinating the most of every stage of the event. 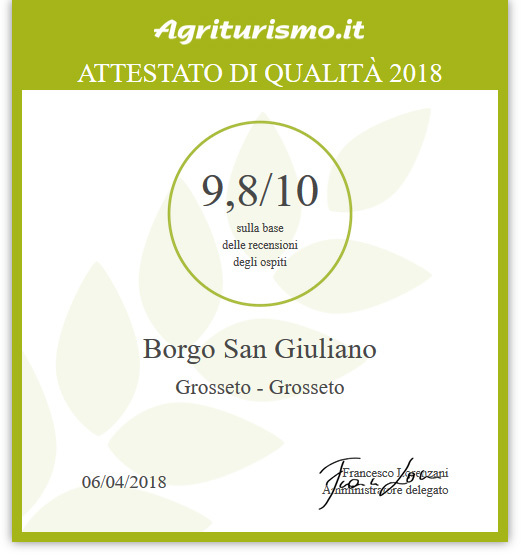 In the hills of Gavorrano (GR), an olive grove with 160 trees, autochthonous variety, deliberately left untreated with fertilizers and fungicides since the year 2000, rsoecting the wishes of the Benelli family, which produced 2683 Kg of olives harvested by hand on 24th and 25th of October 2015. 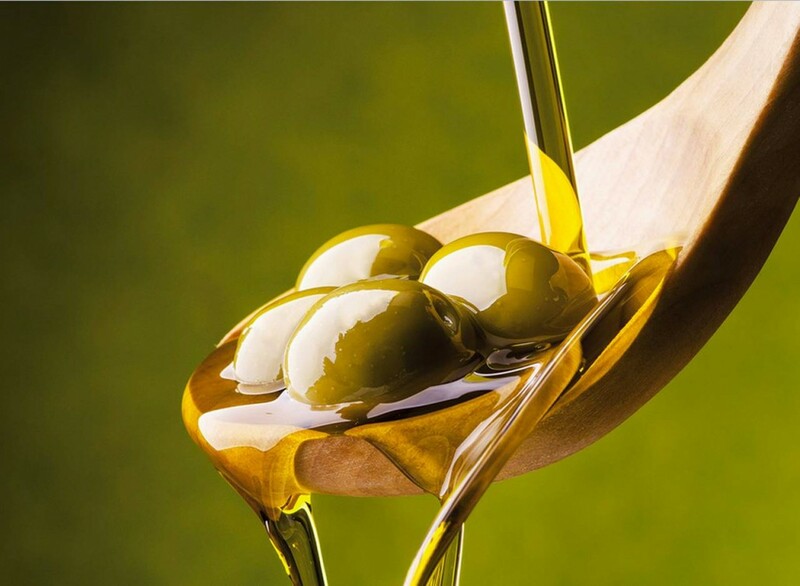 The olives were cold pressed at the OL.MA. 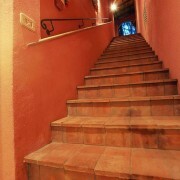 s.a.c. 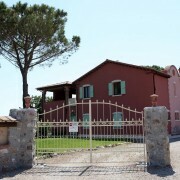 oil mill producing 339,50 kg of I.G.P. 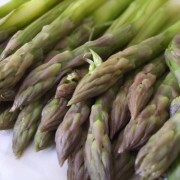 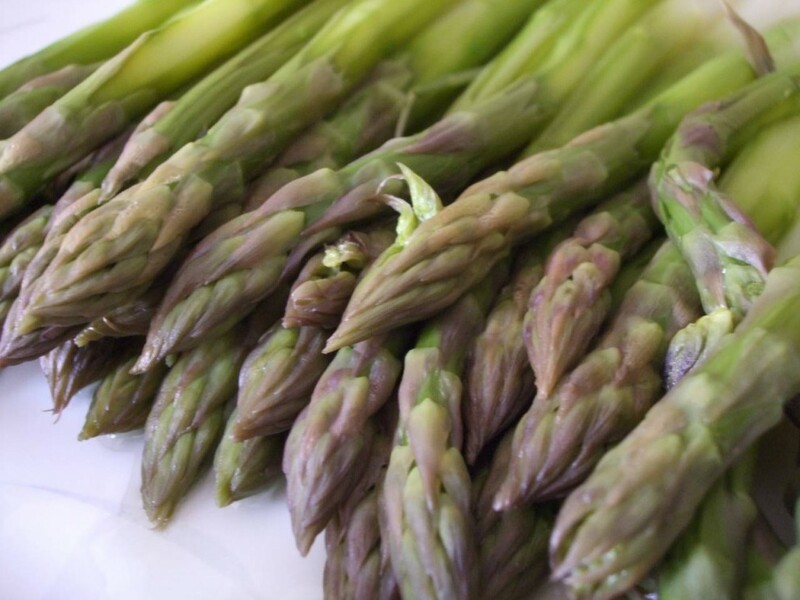 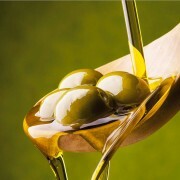 Tuscany EXTRA VERGIN OLIVE OIL. 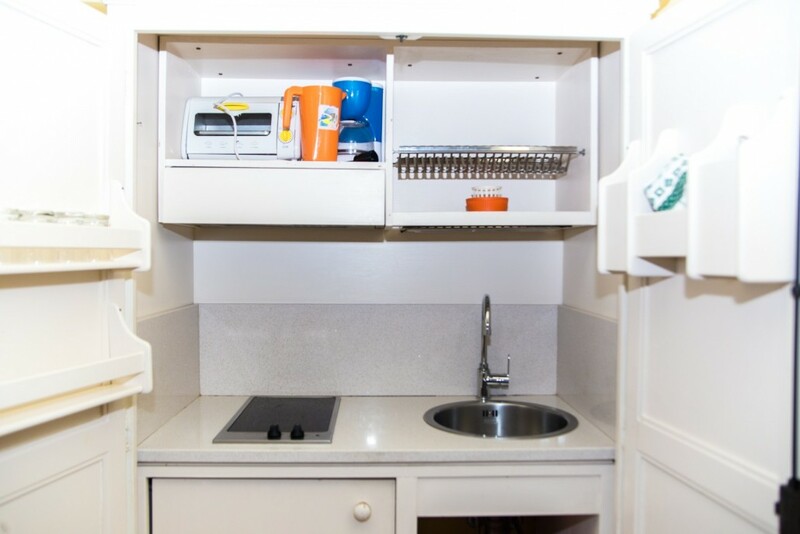 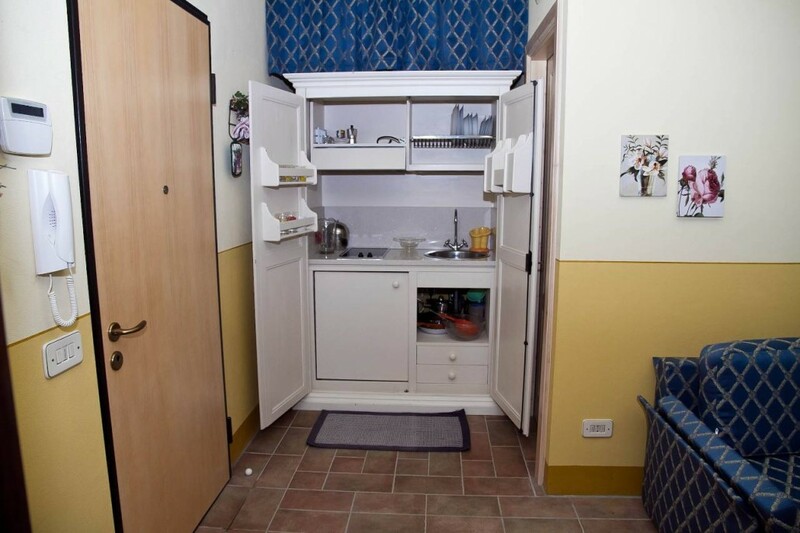 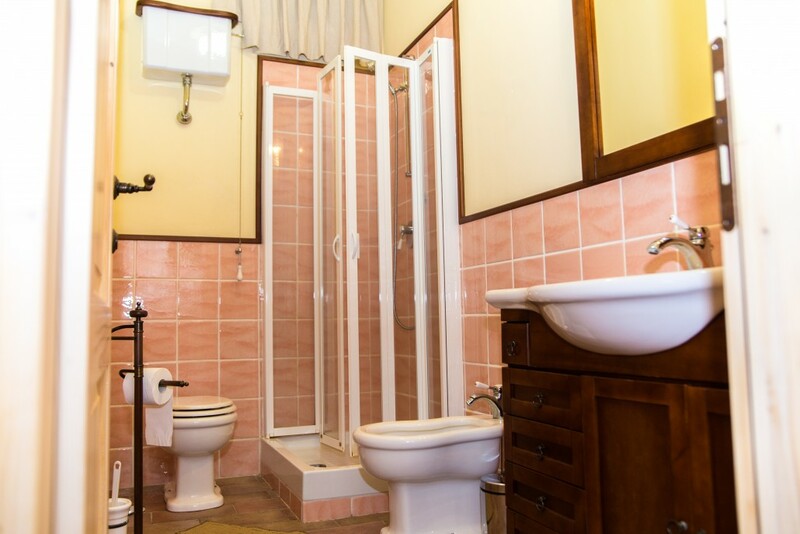 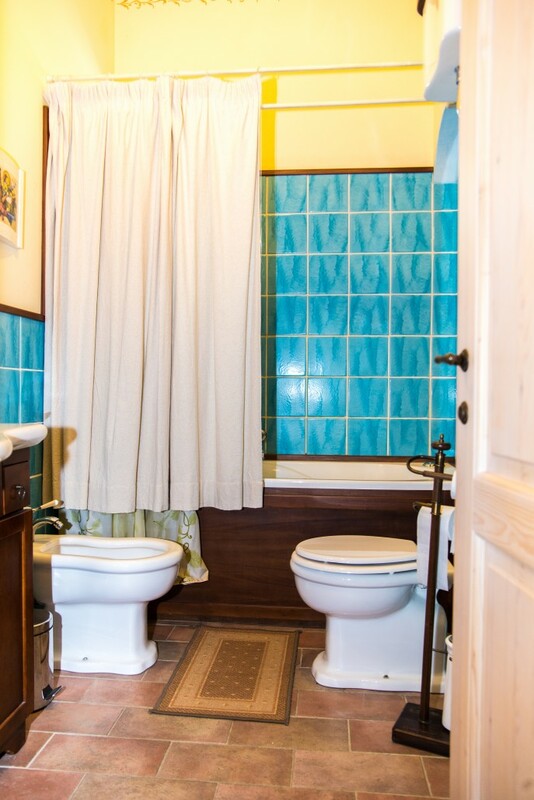 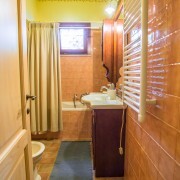 This studio apartment is located on the first floor and is equipped with a kitchenette, a double bed, bathroom with bathtub, sink, toilet and bidet. 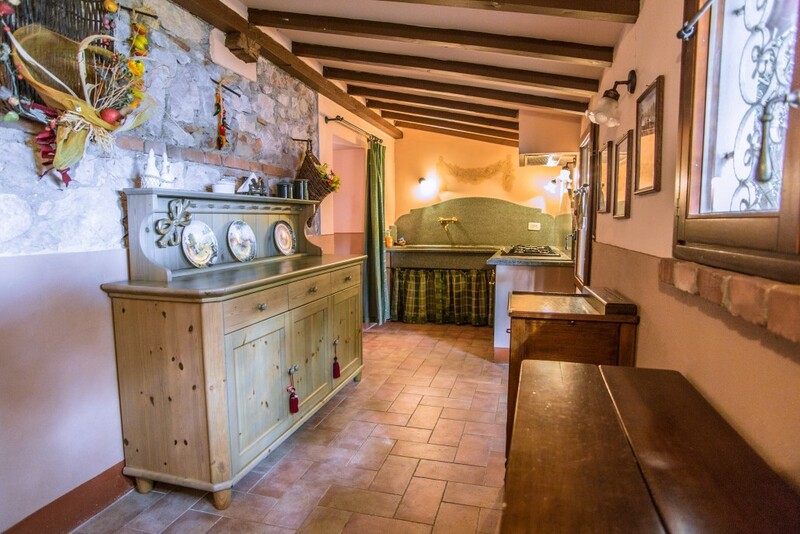 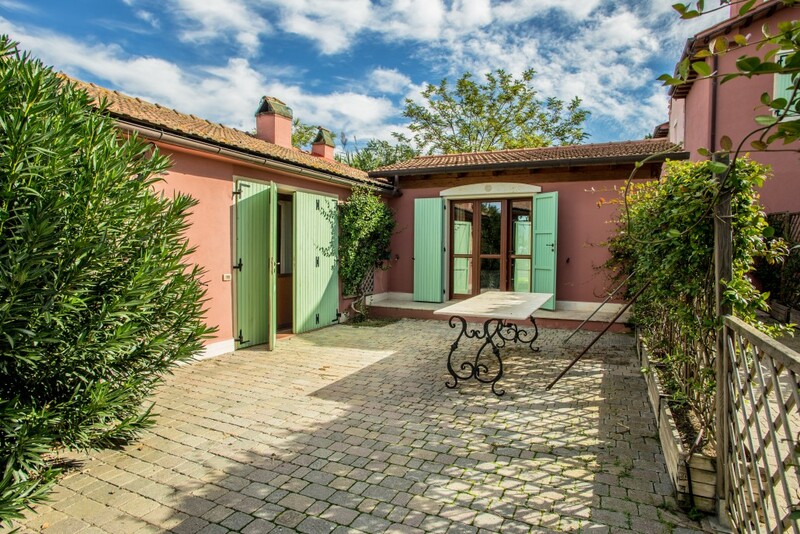 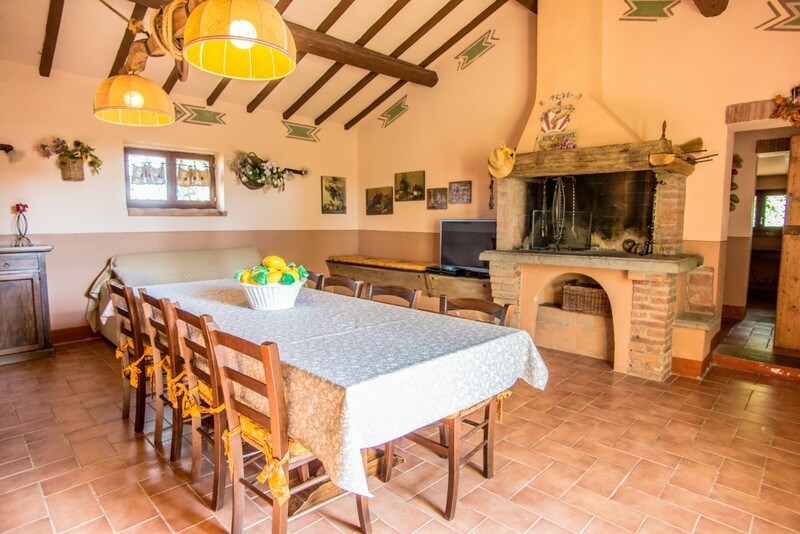 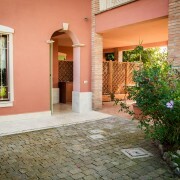 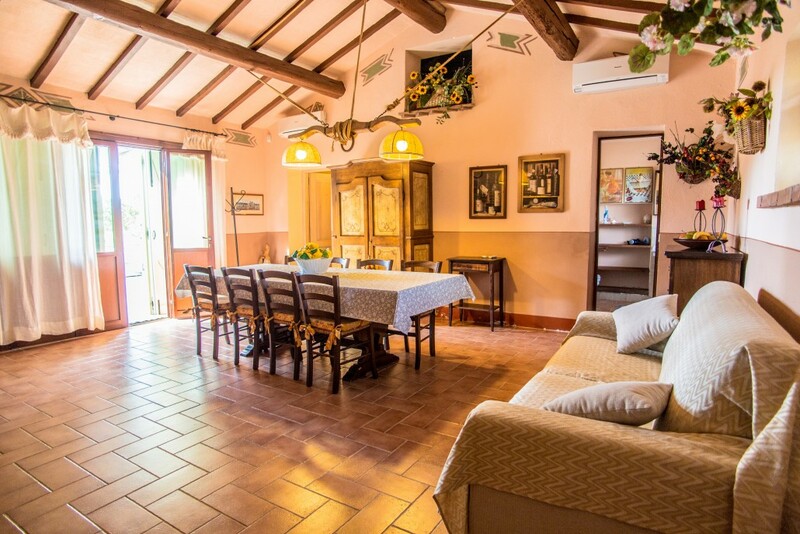 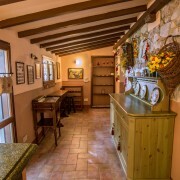 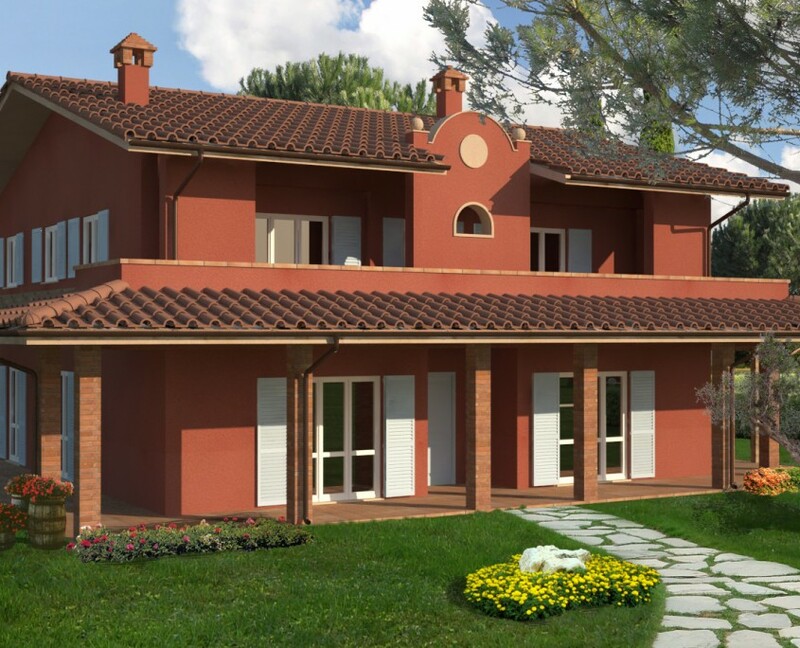 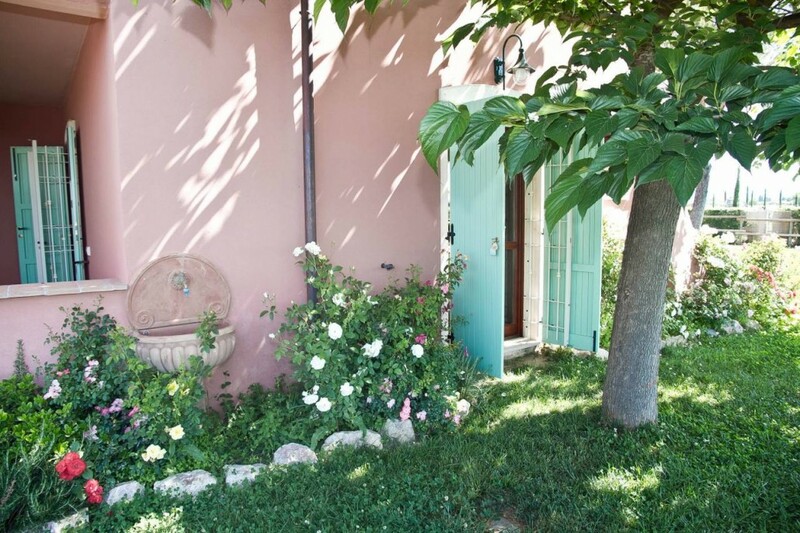 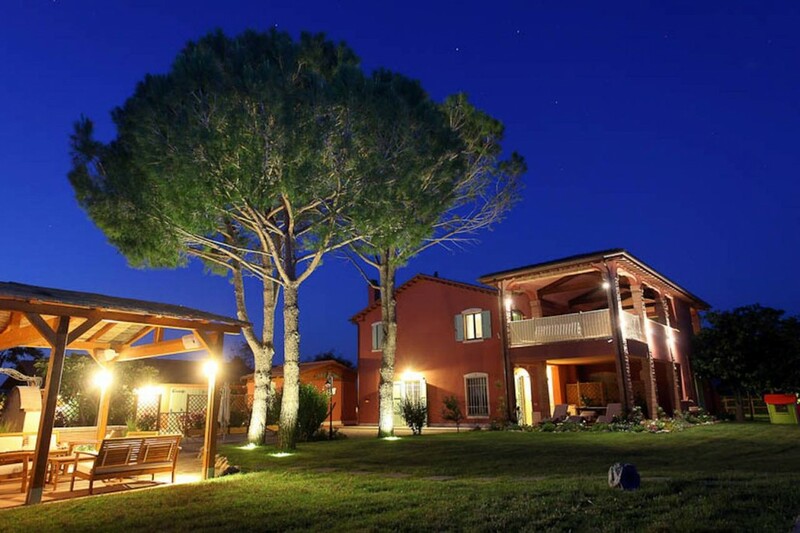 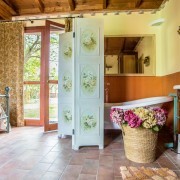 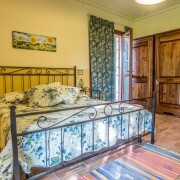 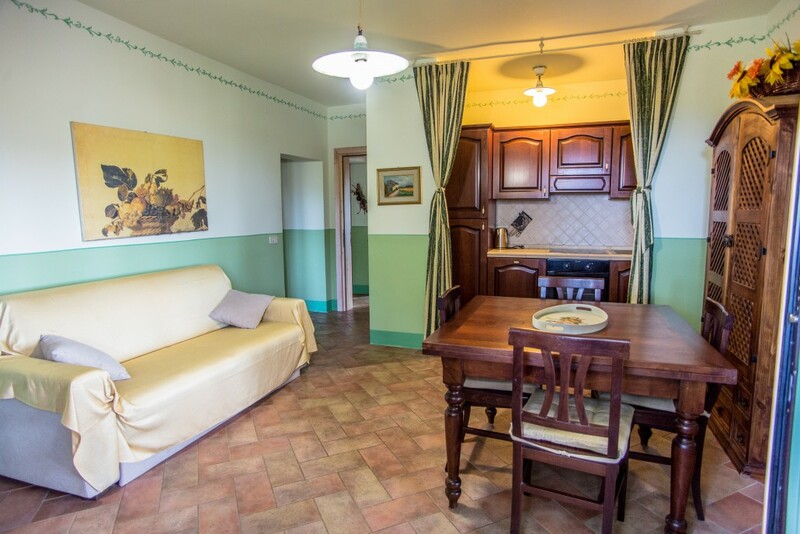 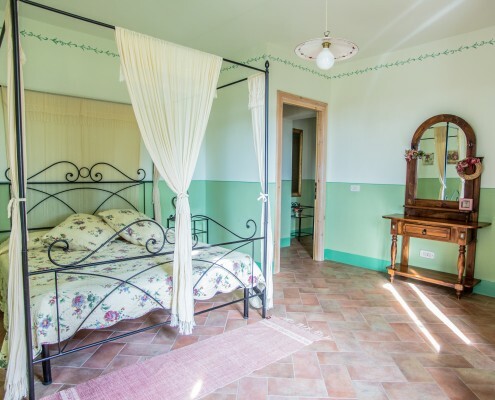 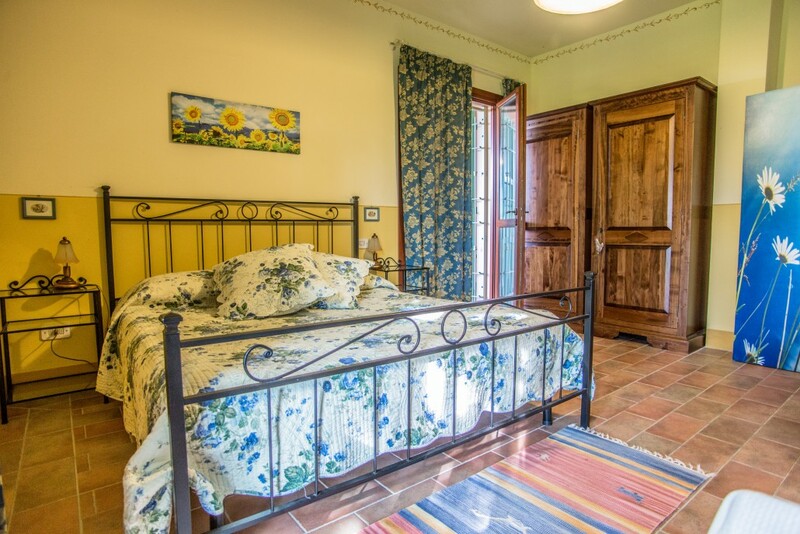 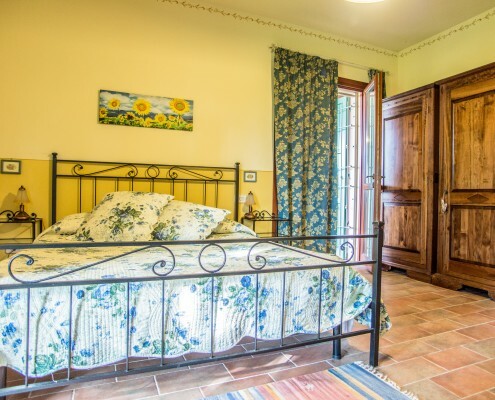 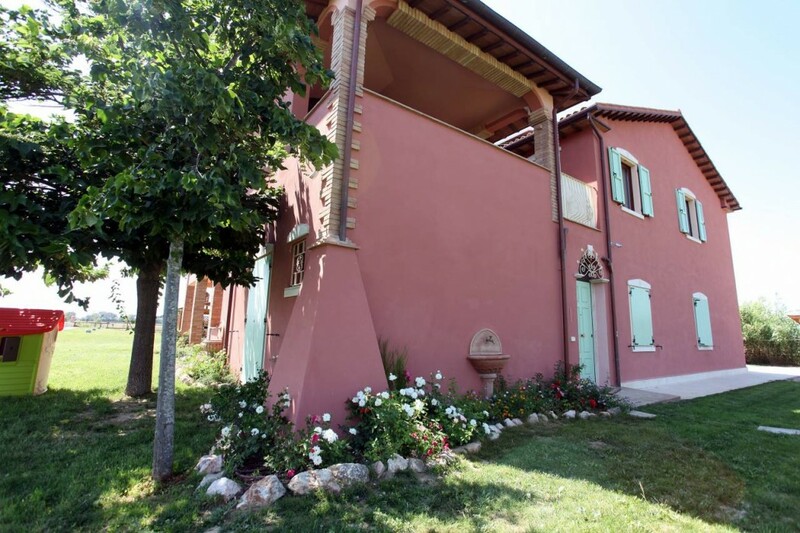 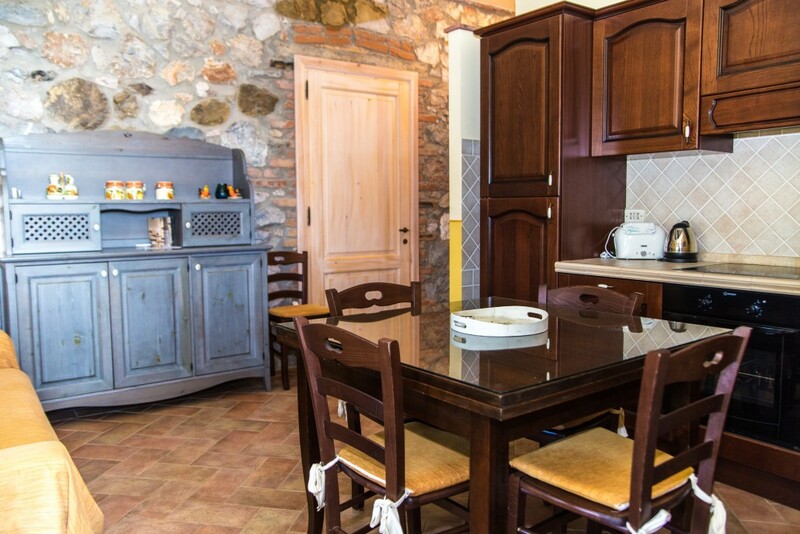 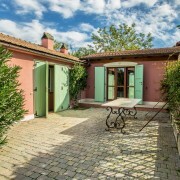 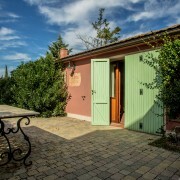 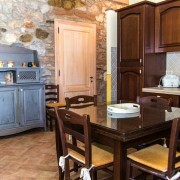 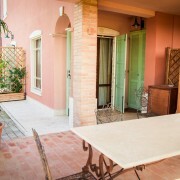 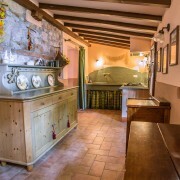 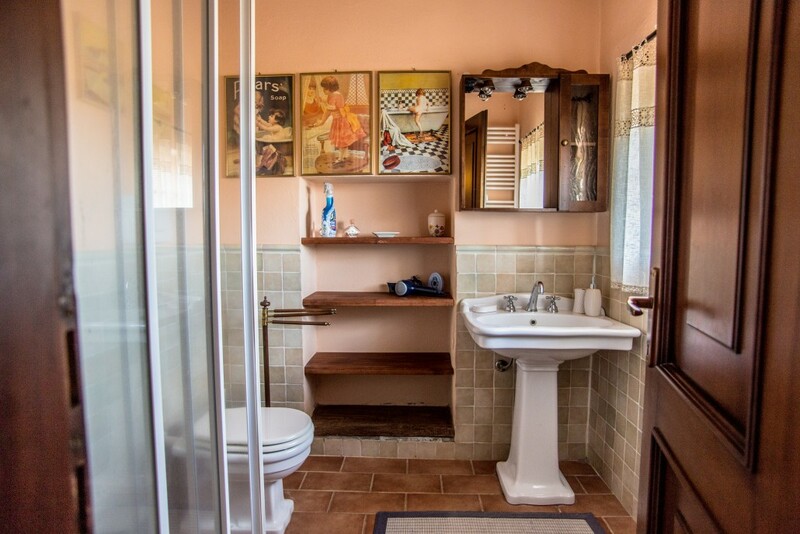 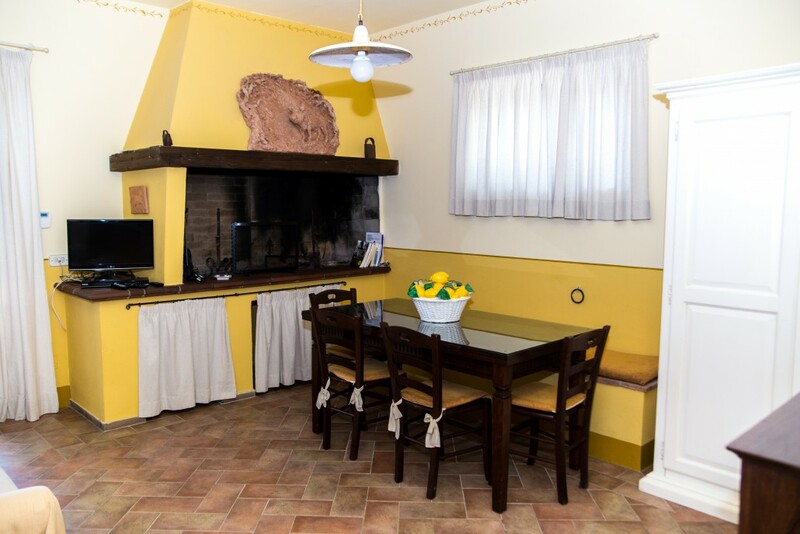 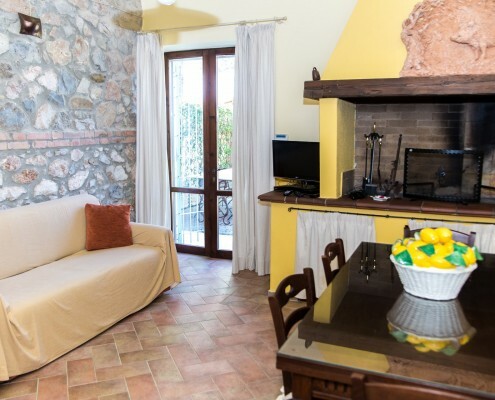 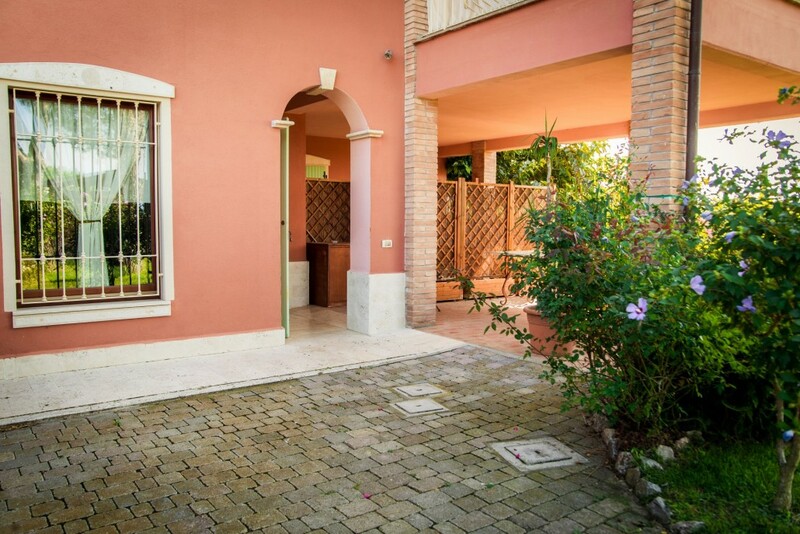 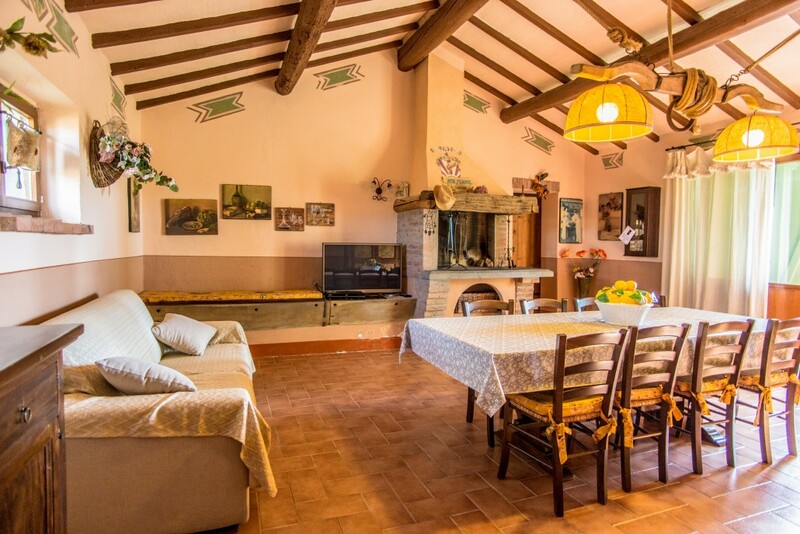 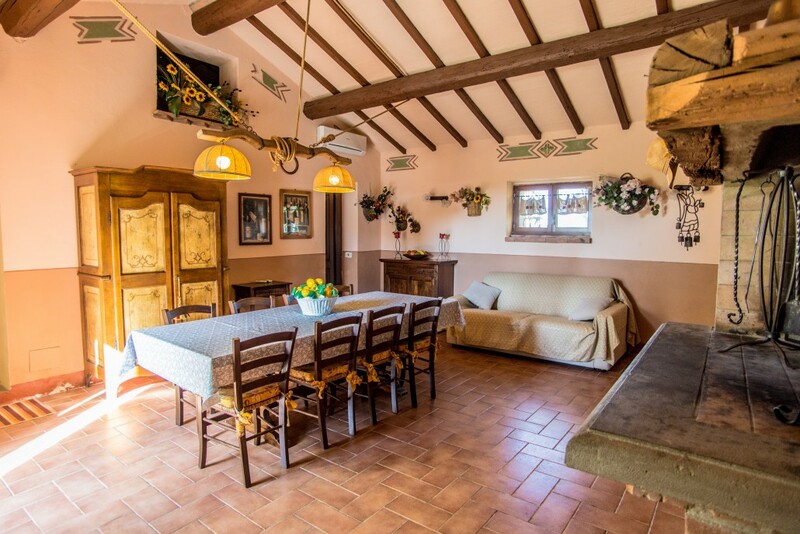 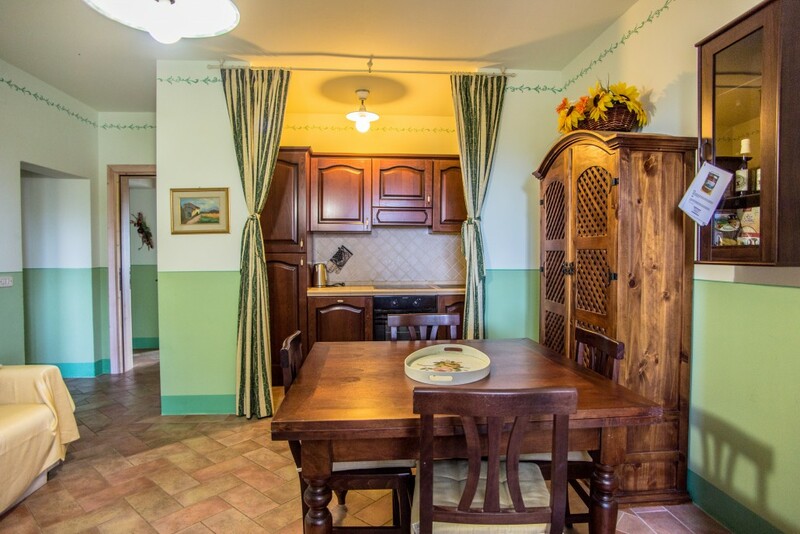 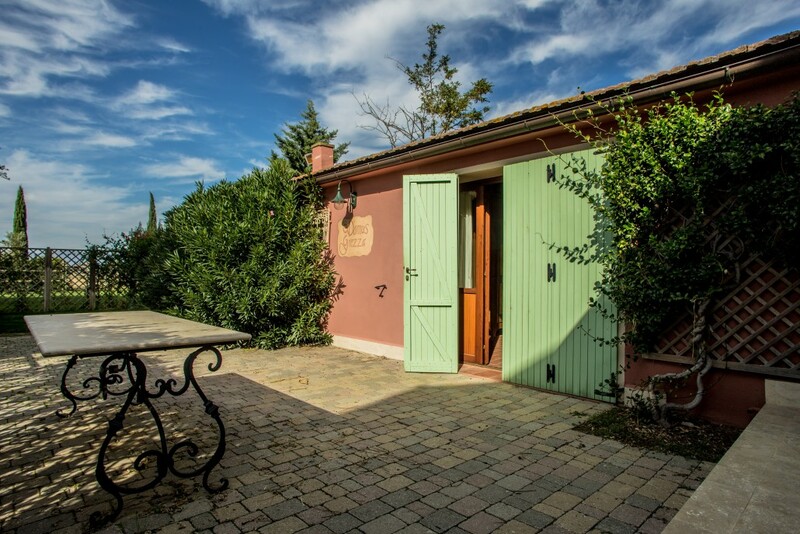 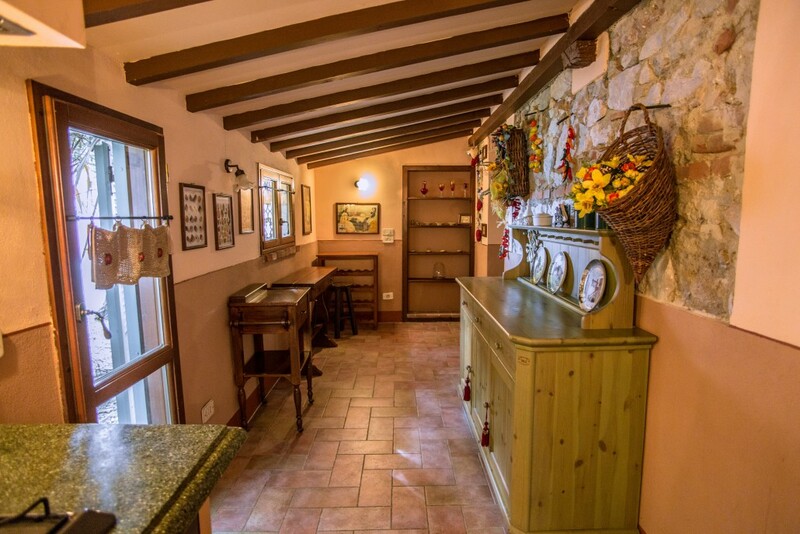 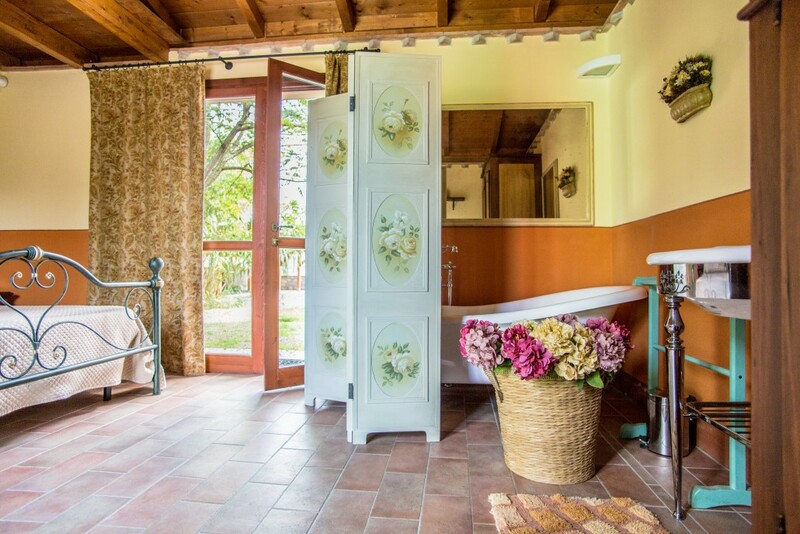 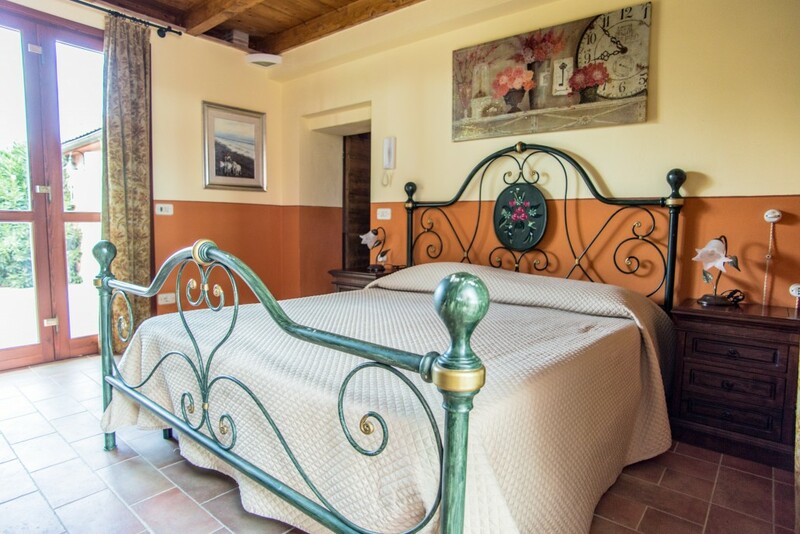 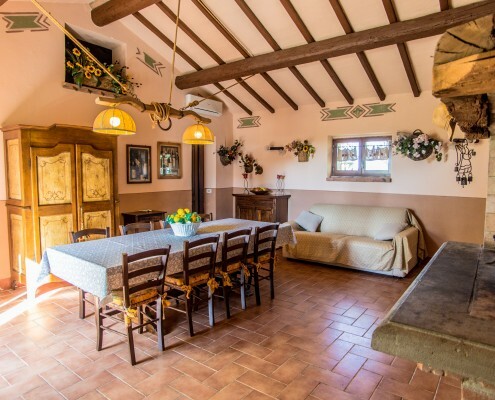 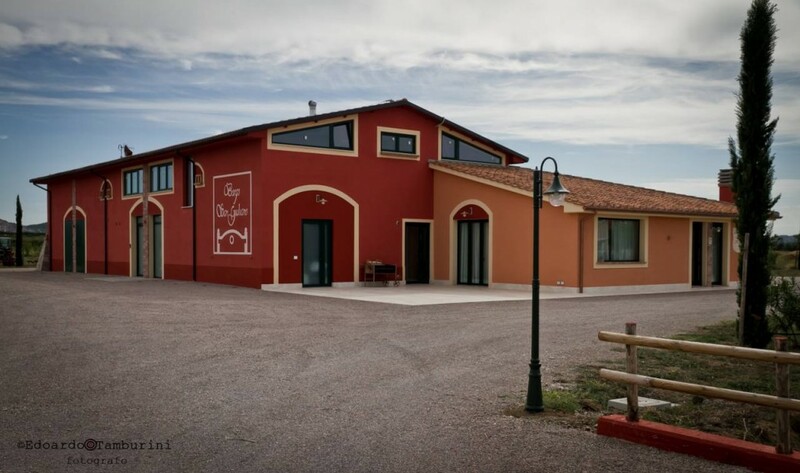 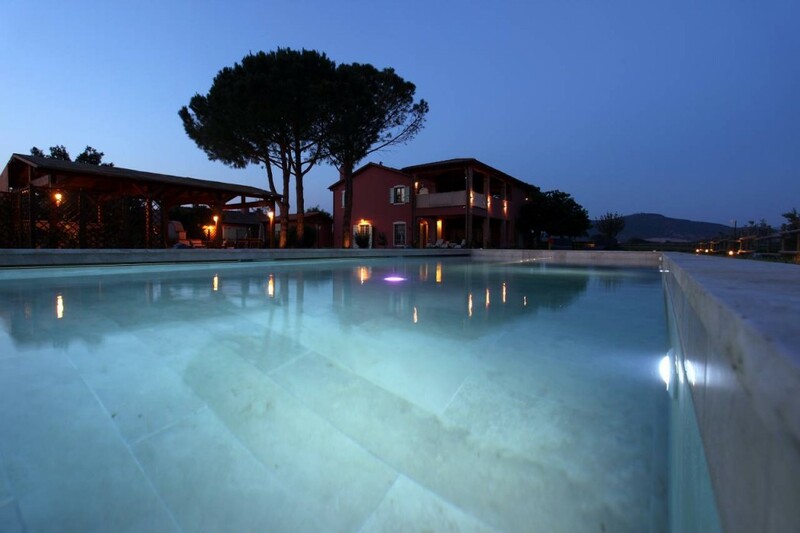 Tastefully decorated in Maremma’s country style, it has 1 TV LED, internet wi-fi connection, and a safe with numeric code volumetric alarm system, washing machine and air conditioning / heating in winter. It is located on the ground floor of the complex. 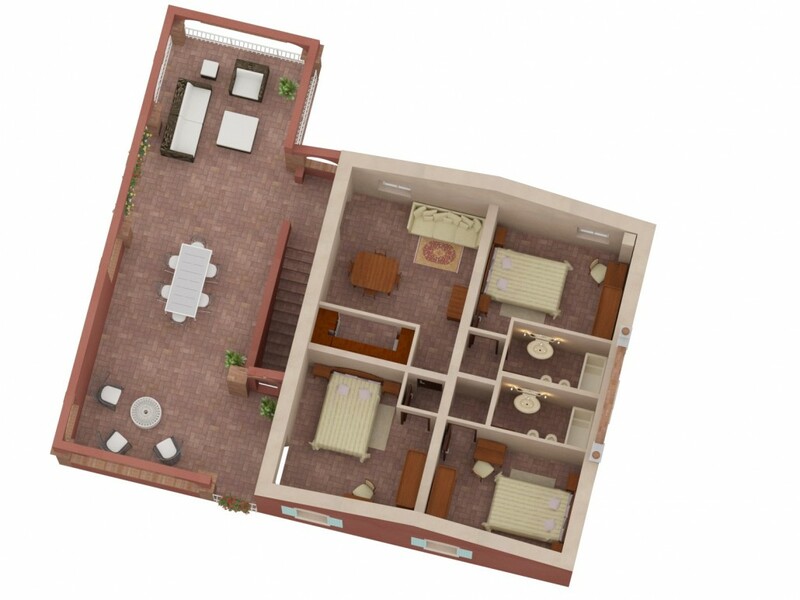 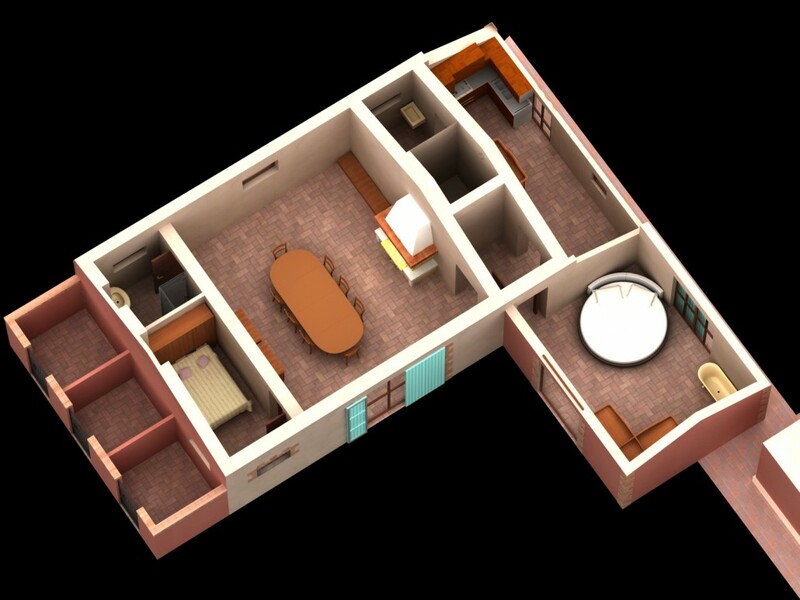 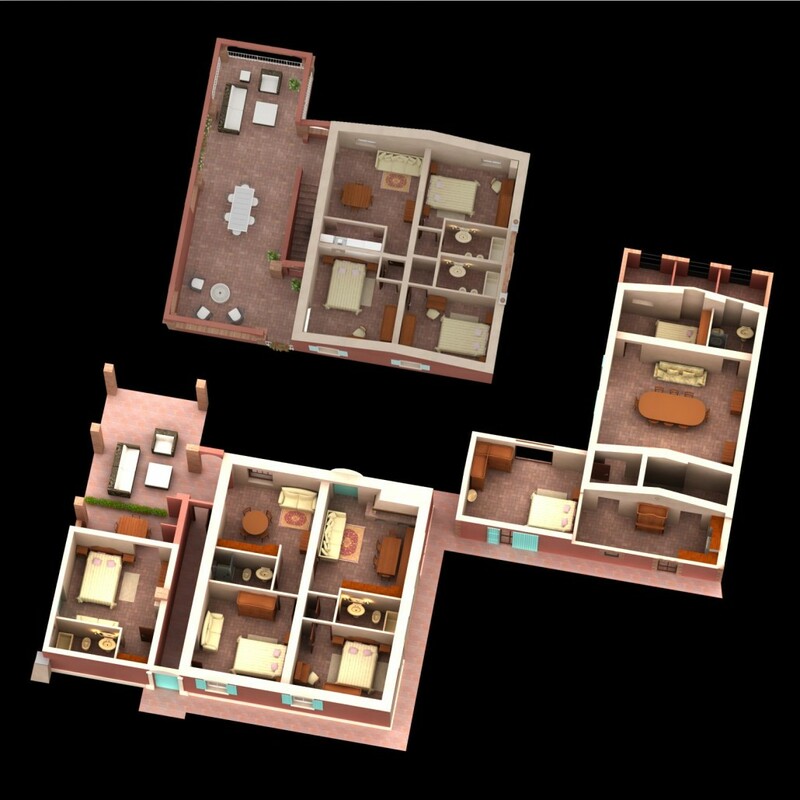 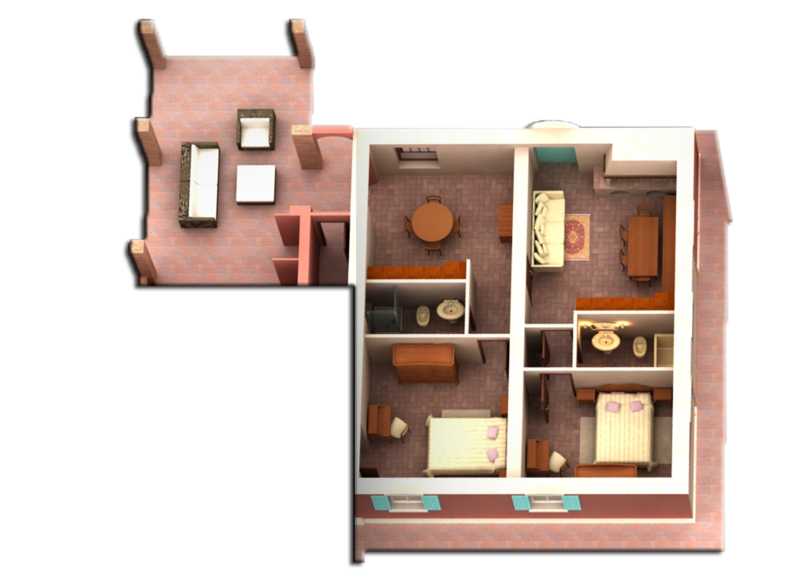 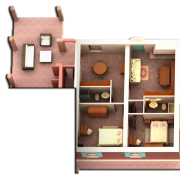 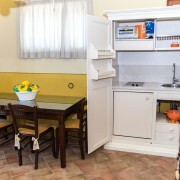 One big apartments of about 47 square meters with one double bedroom. 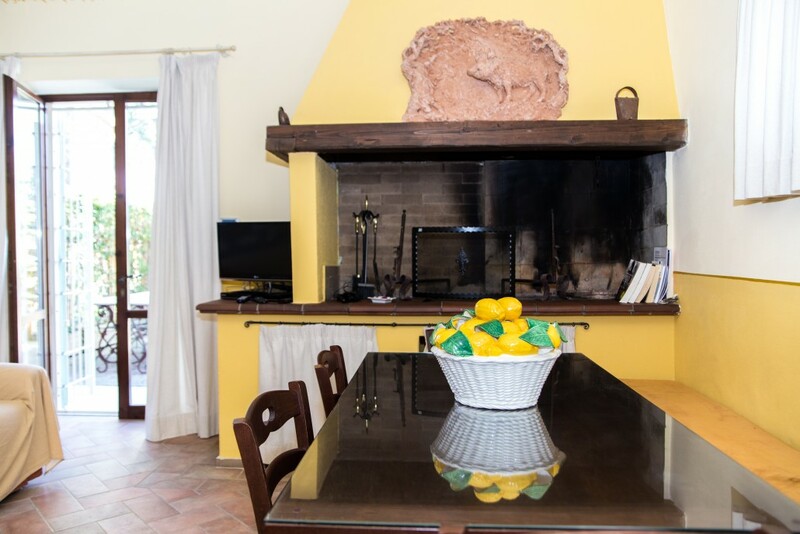 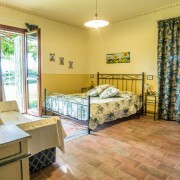 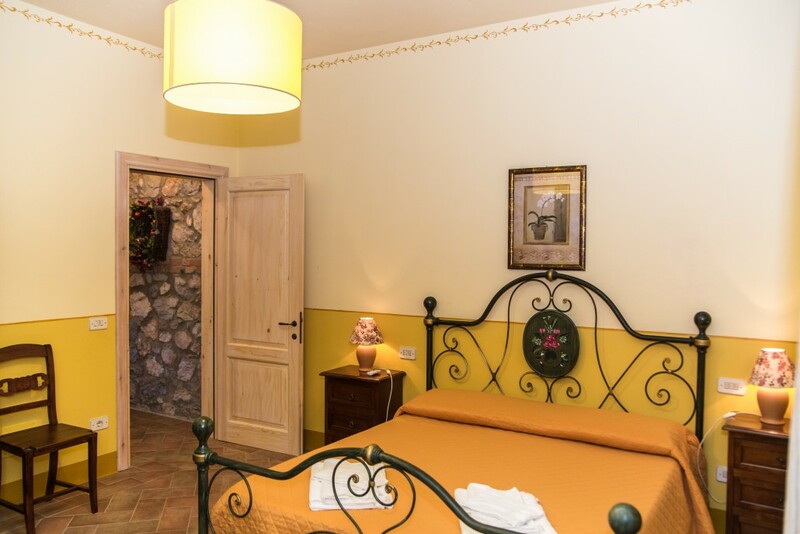 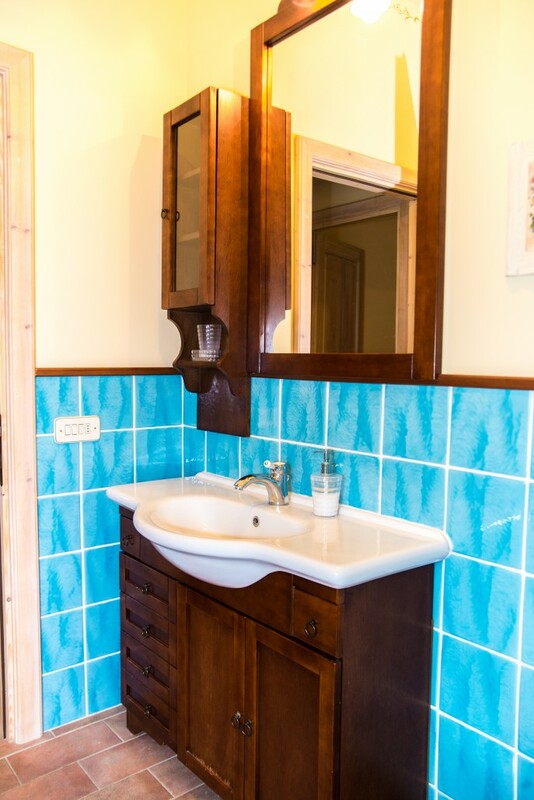 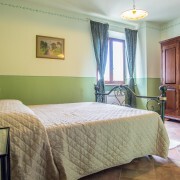 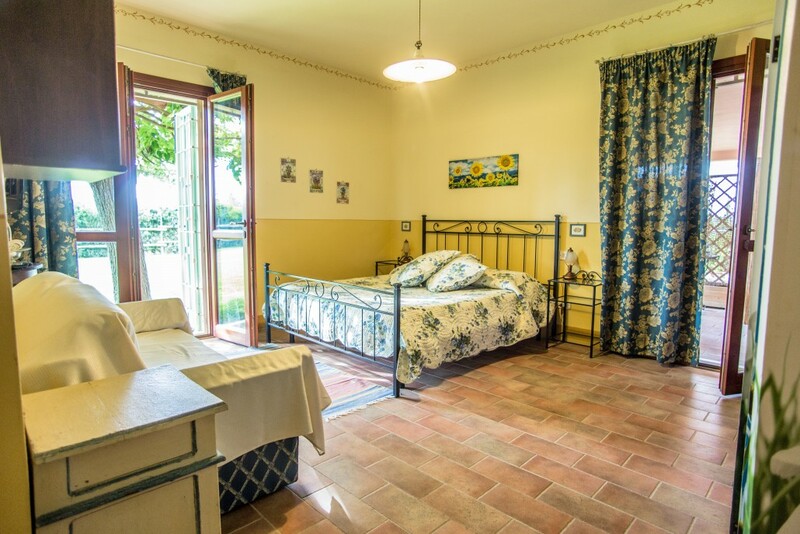 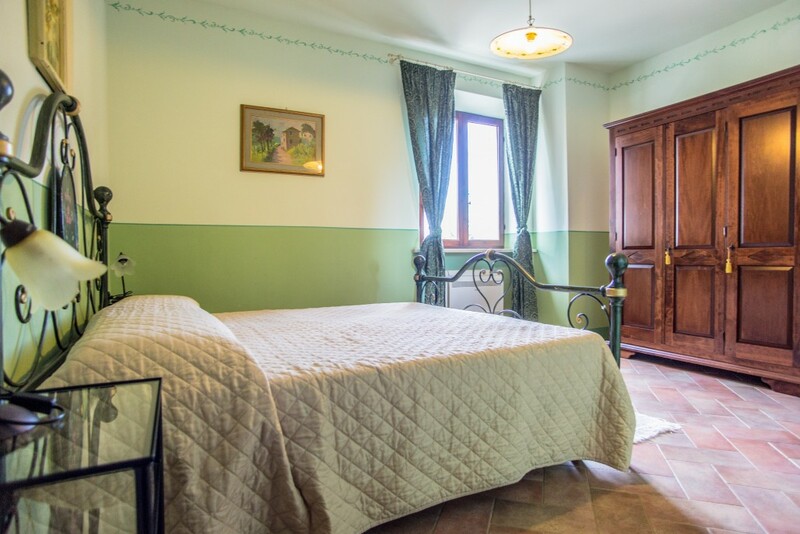 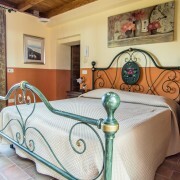 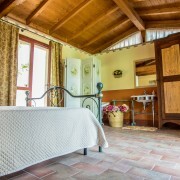 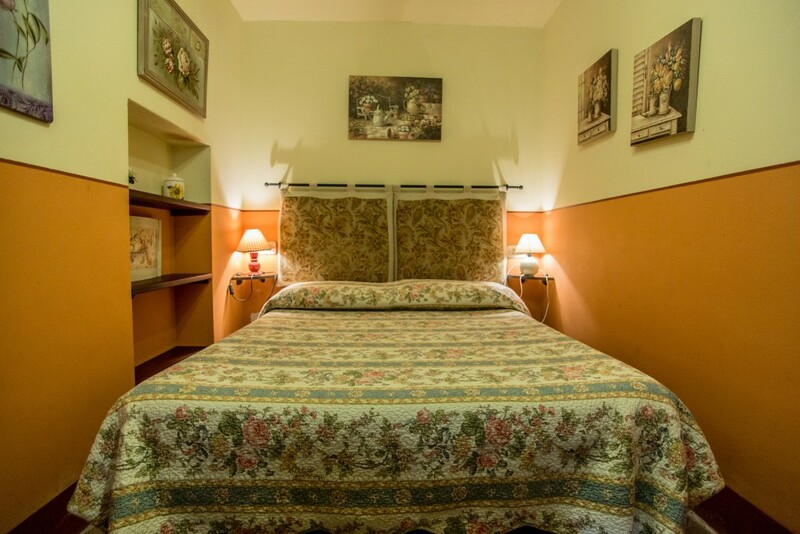 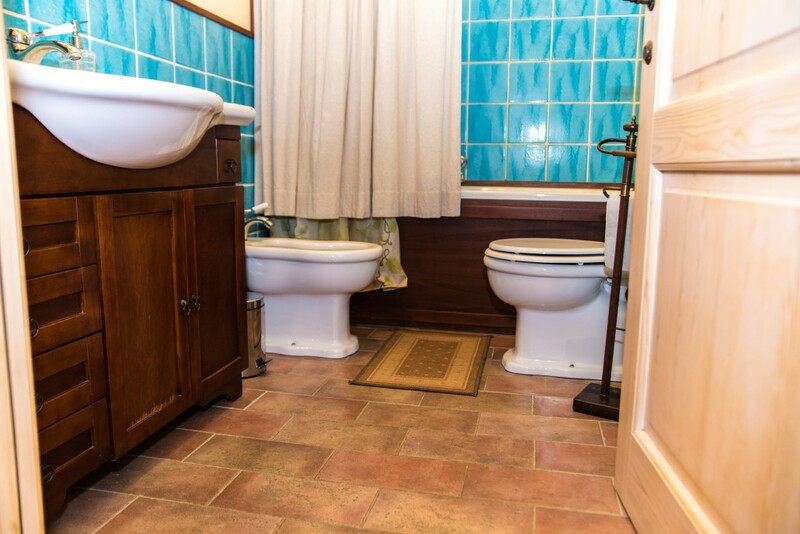 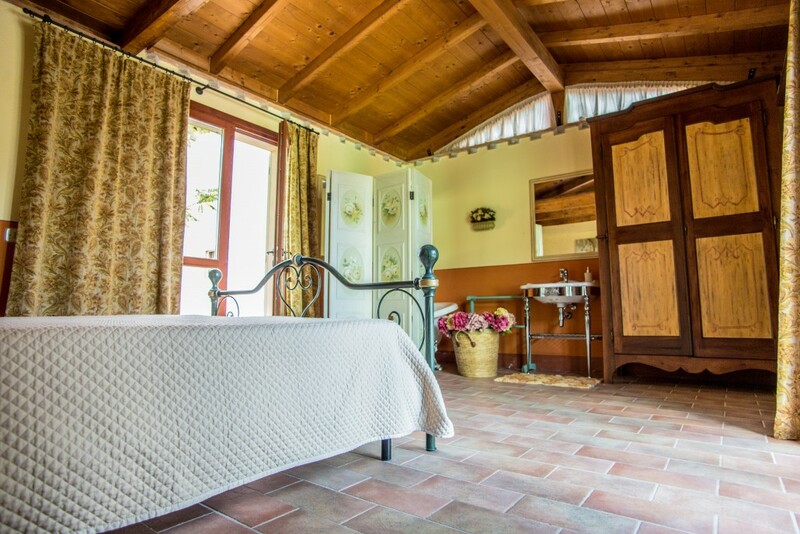 La Massaia C has a large double bedroom, a bathroom with jacuzzi tub, sink, toilet, bidet and a living room with a large fireplace and a hideaway kitchen, sofa bed for 2 people and tiled garden furnished with a table and chairs. 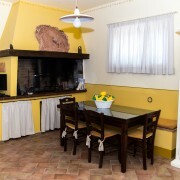 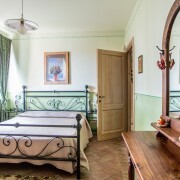 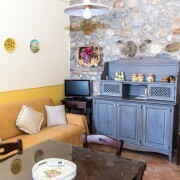 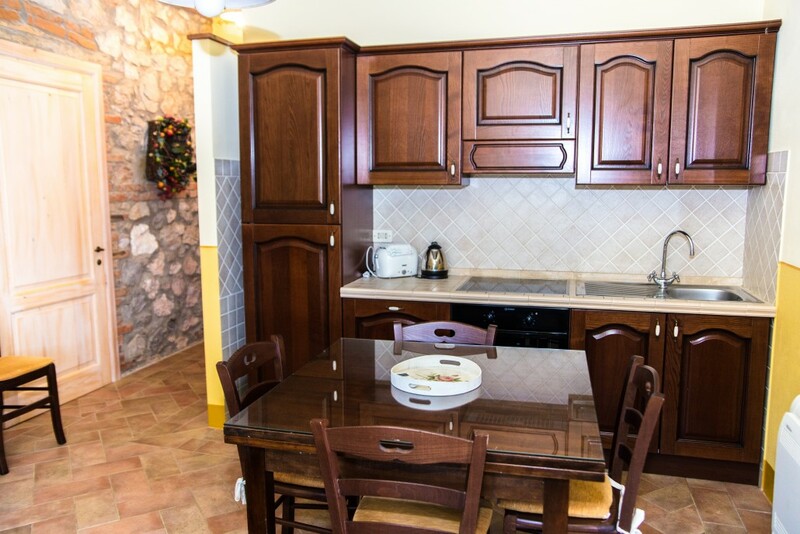 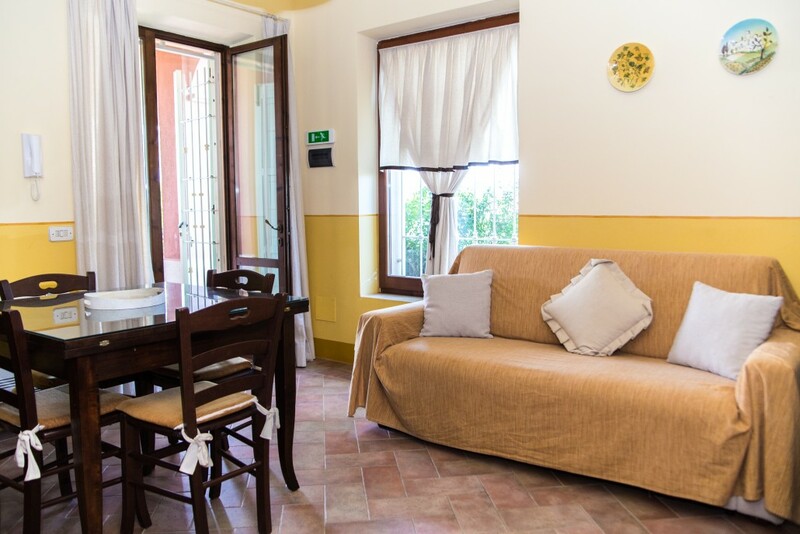 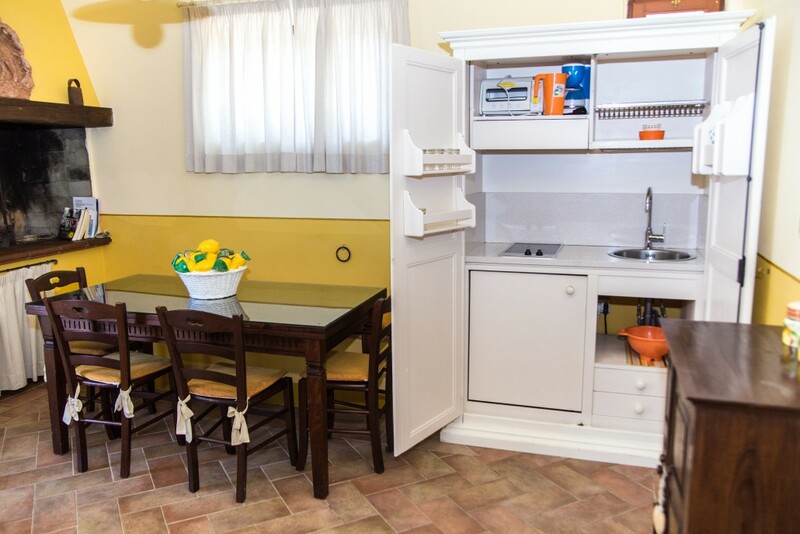 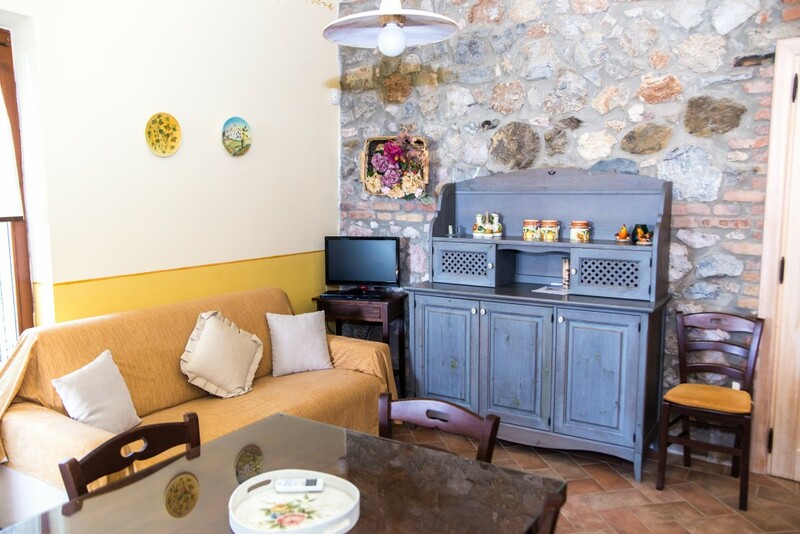 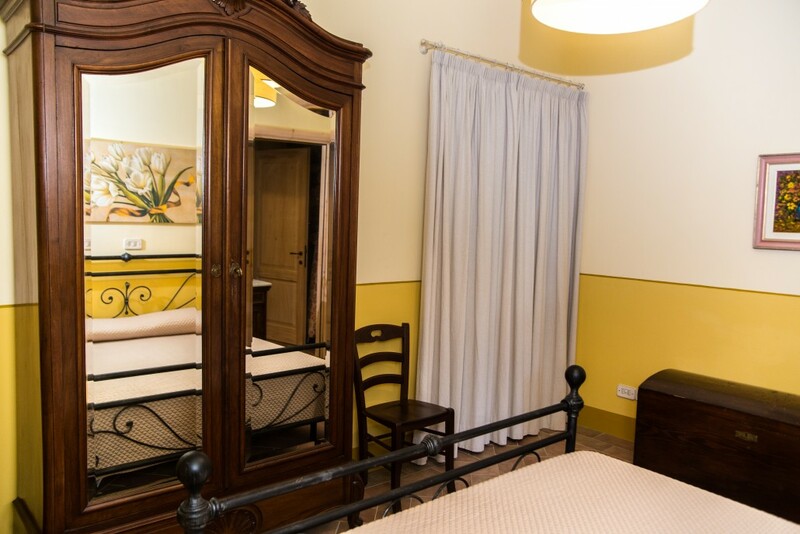 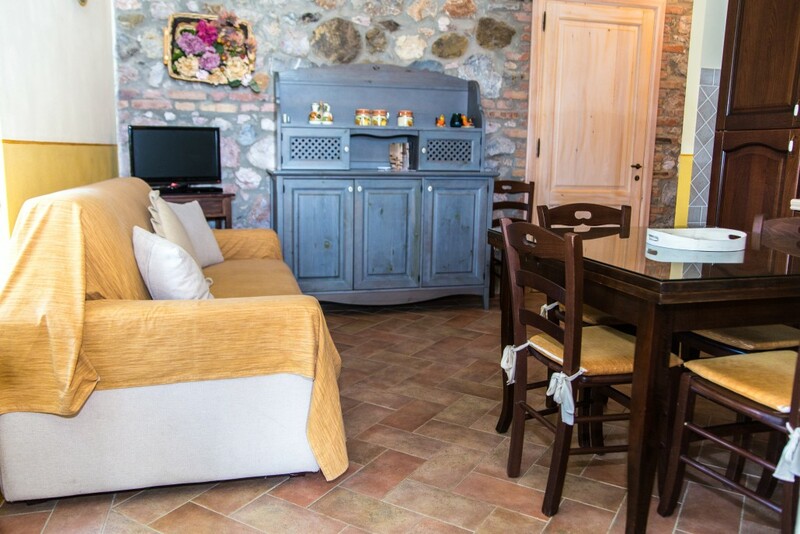 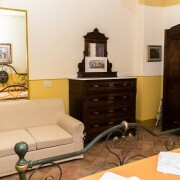 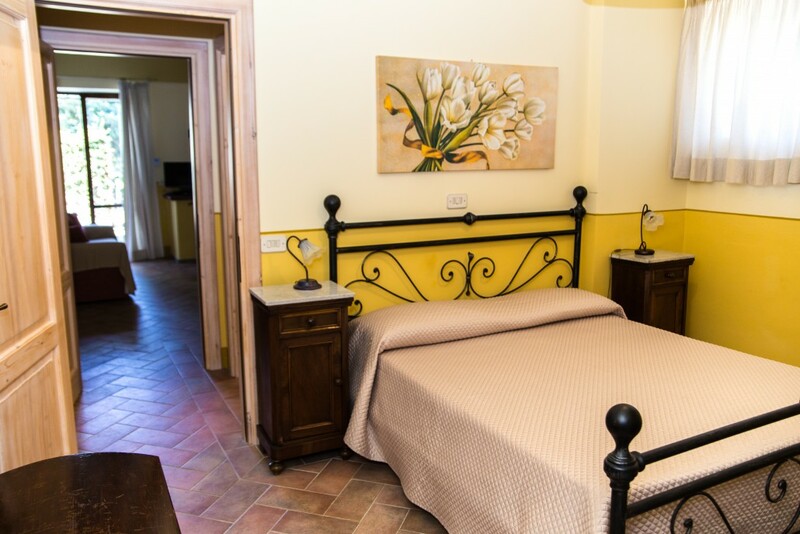 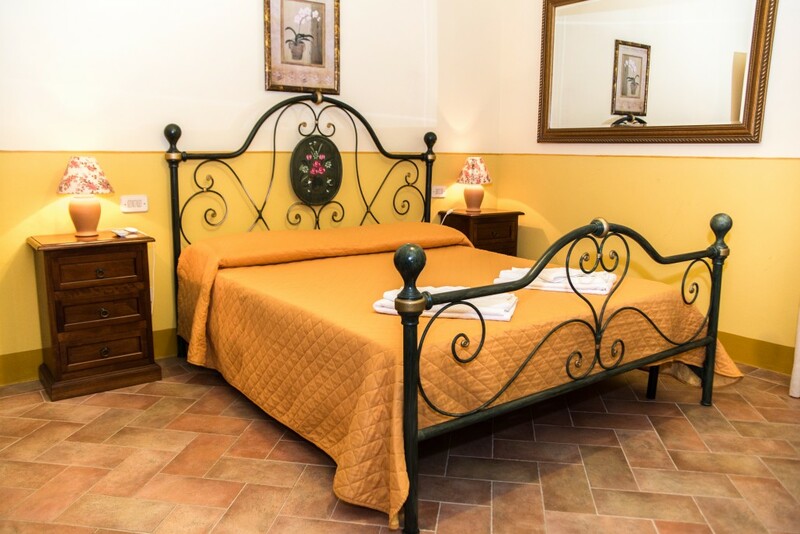 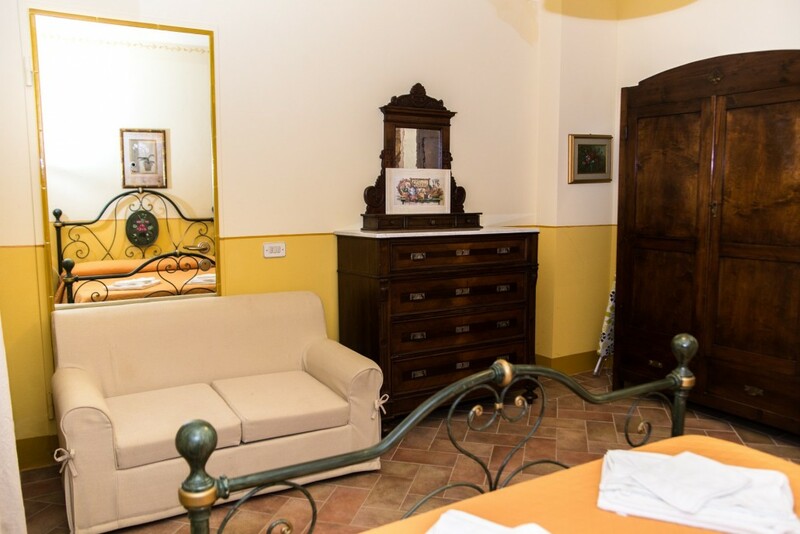 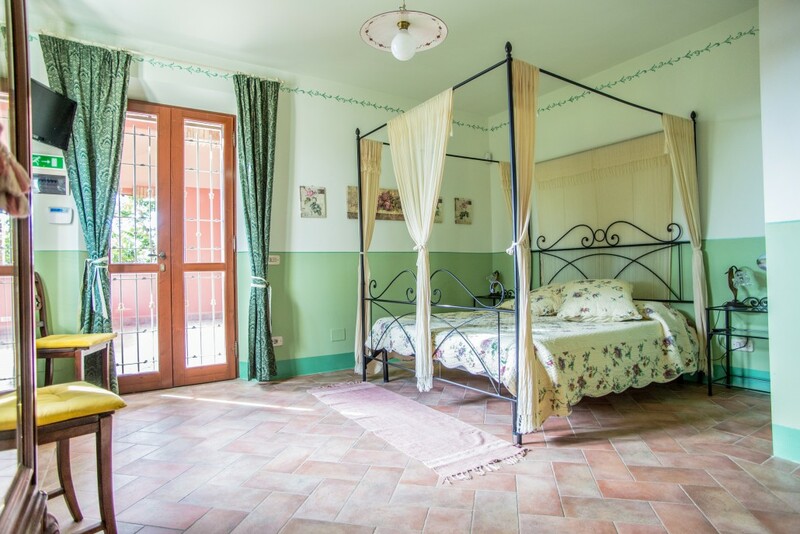 Both apartments are tastefully furnished in Maremma’s country style, they have 1 LED Tv , internet wi-fi access, CD / DVD player, and a safe with numeric code volumetric alarm system, washing machine and air conditioning / winter heating in all rooms. 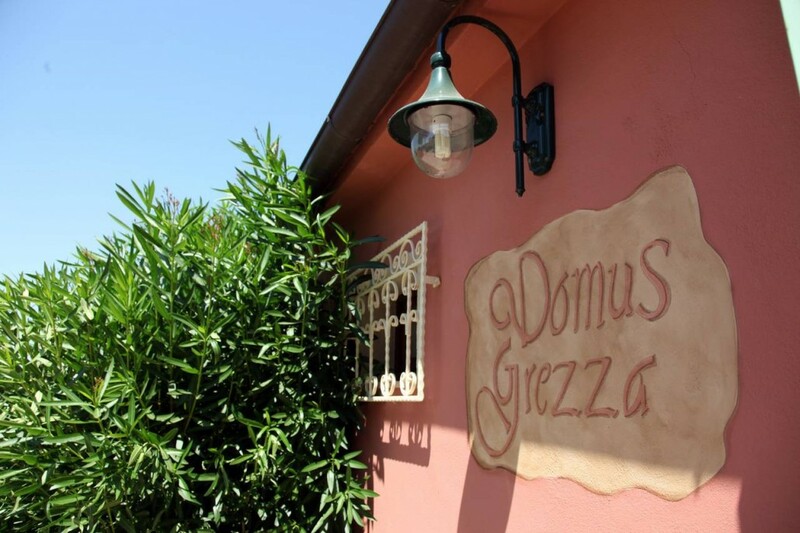 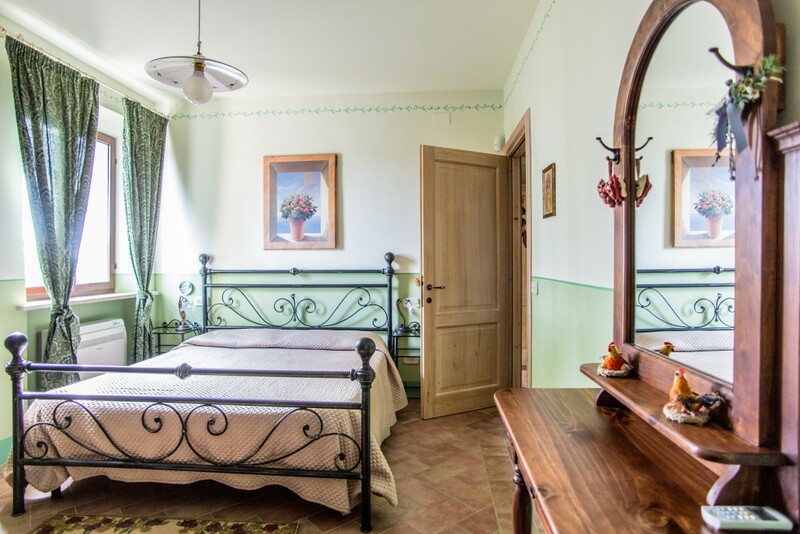 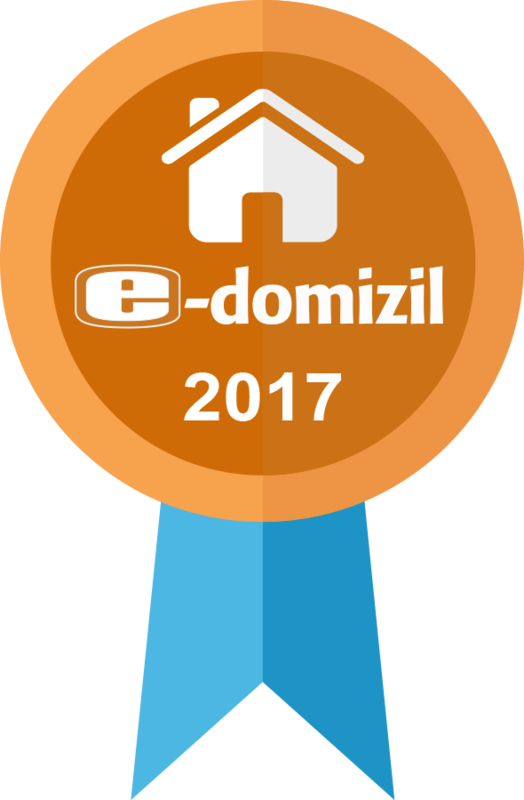 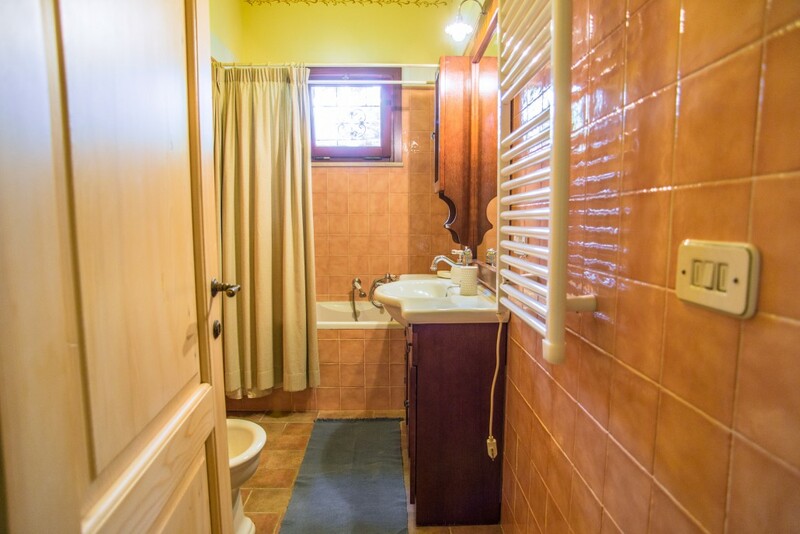 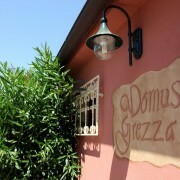 Splendid independent house of 95 square meters called “Domus Grezza”, equipped with 2 double bedrooms (one large and one smaller) and a double sofa bed for 2 people in the living room. 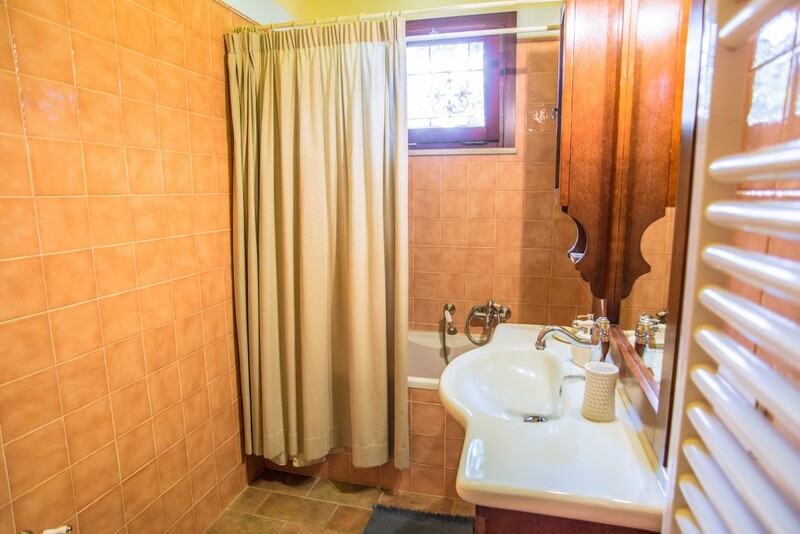 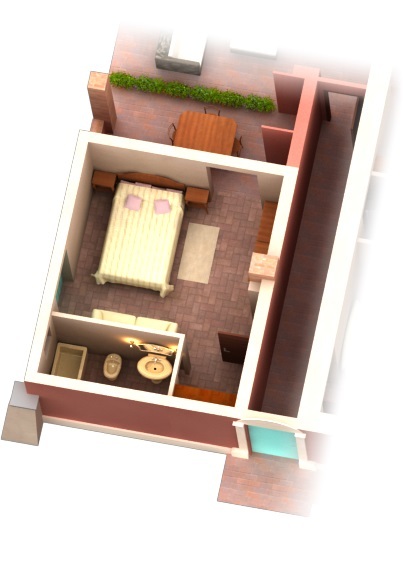 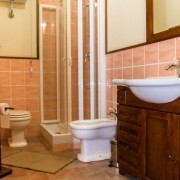 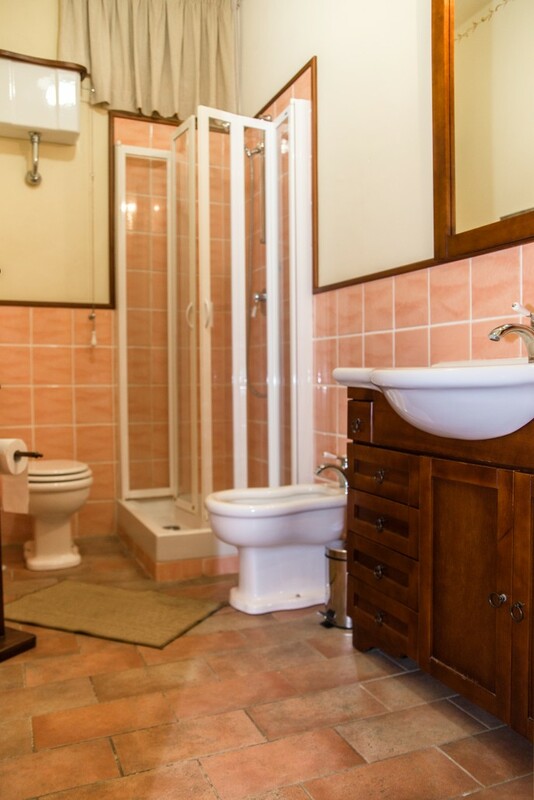 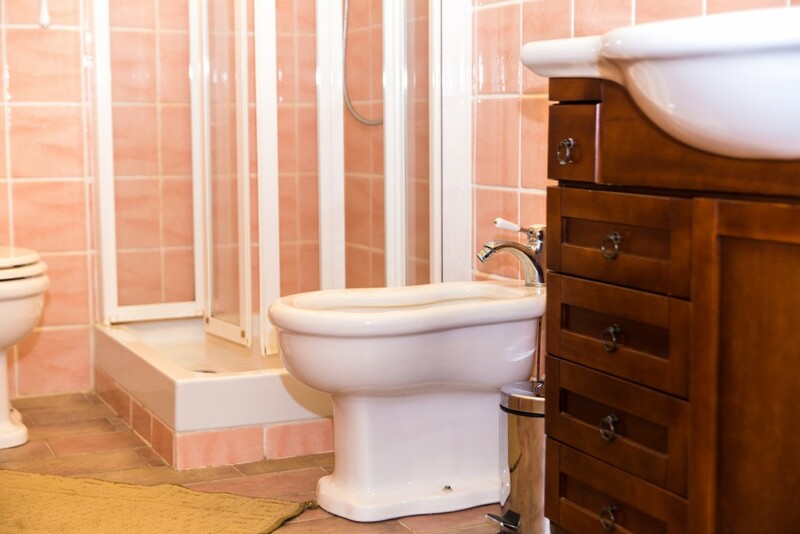 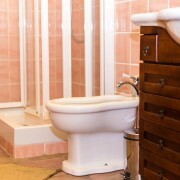 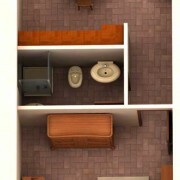 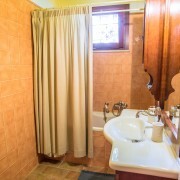 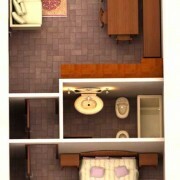 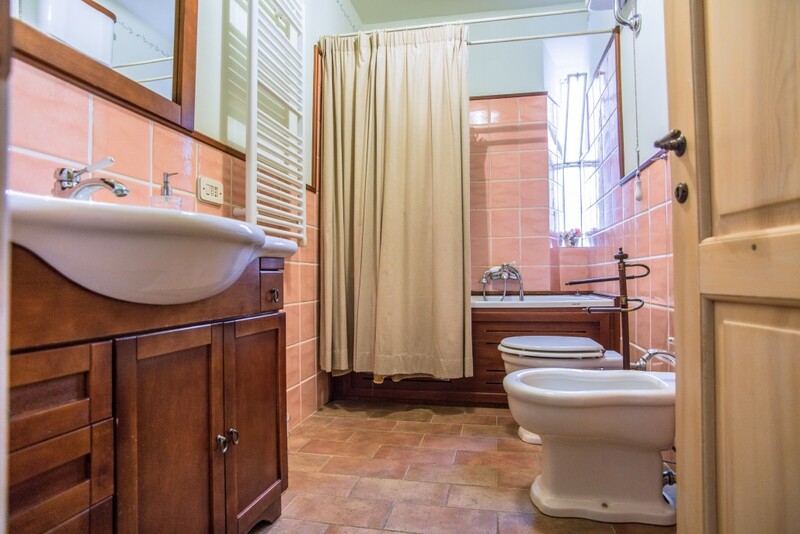 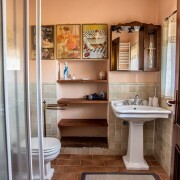 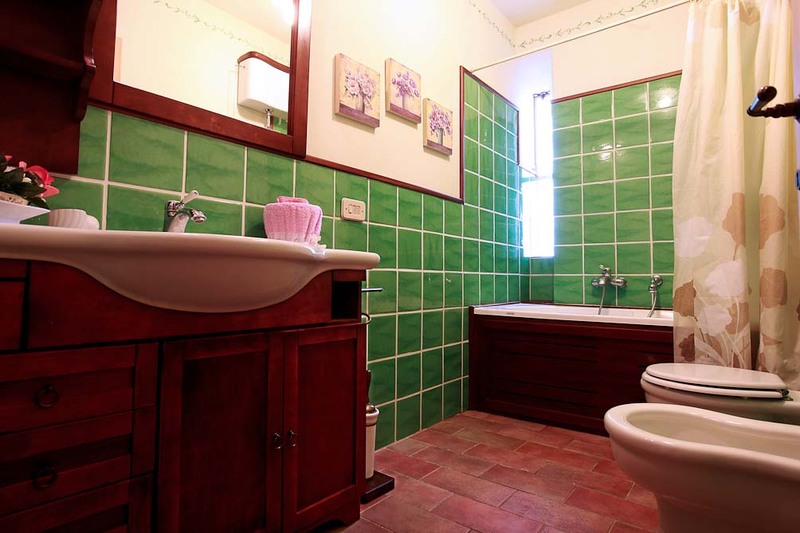 There are two bathroms with shower and bathtub, toilet and sink in the large master bedroom. 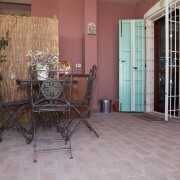 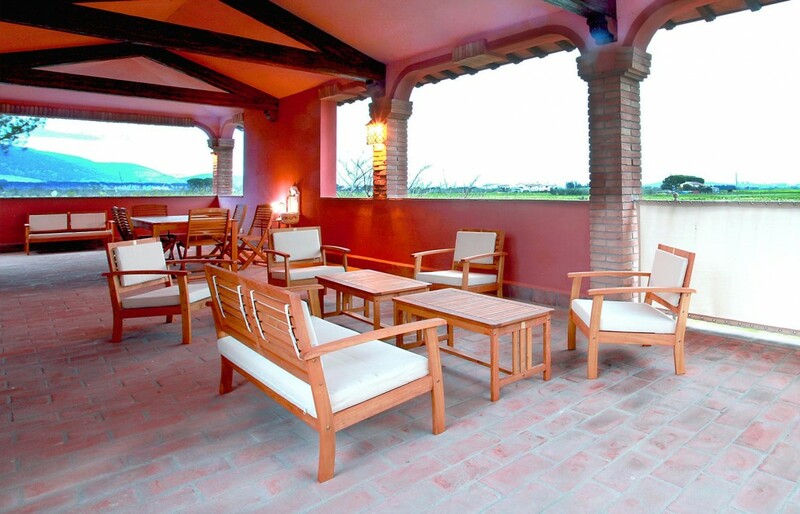 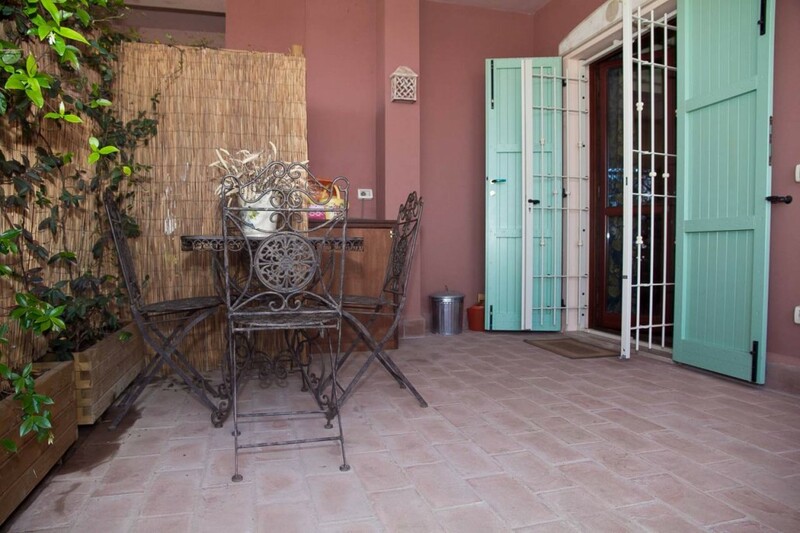 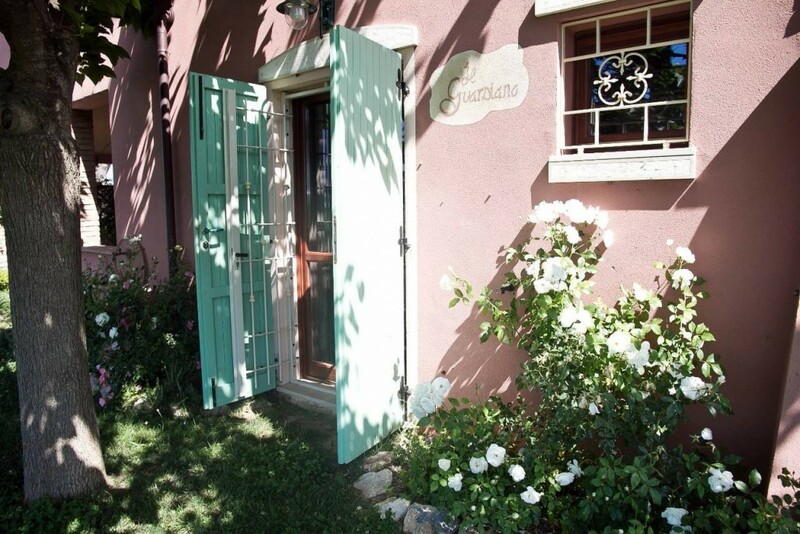 The apartment has a private garden with table and chairs and sun beds for complete privacy. 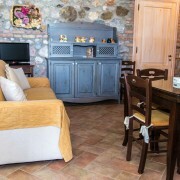 Tastefully decorated in Maremma’s country style, has 2 TV LED, wi-fi, collection of blue ray dvd, CD / DVD / BlueRay, volumetric alarm system and a safe with numeric code, washing machine and air conditioning / winter heating in all rooms. 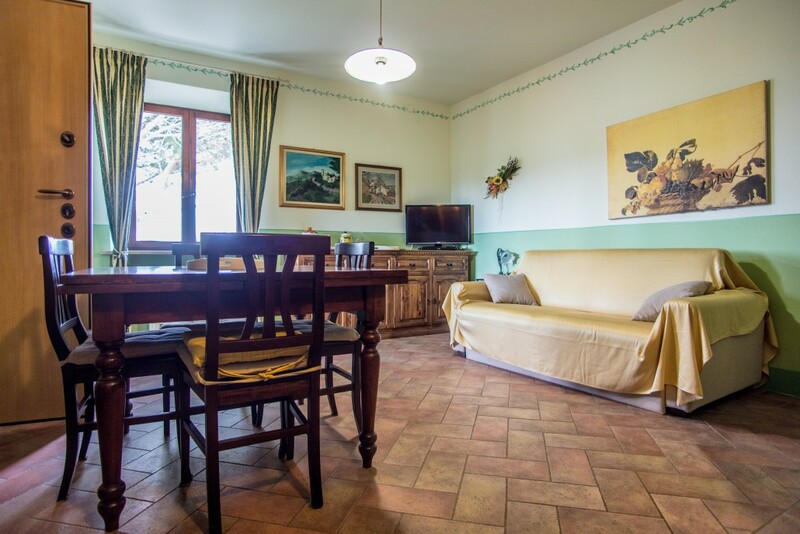 It is on the first floor of the complex, a great apartment of 95 square meters with three large double bedrooms, two bathrooms with bath tub, sink, toilet, bidet and a living room – kitchen with sofa bed for 2 people and a covered terrace furnished with table, chairs. 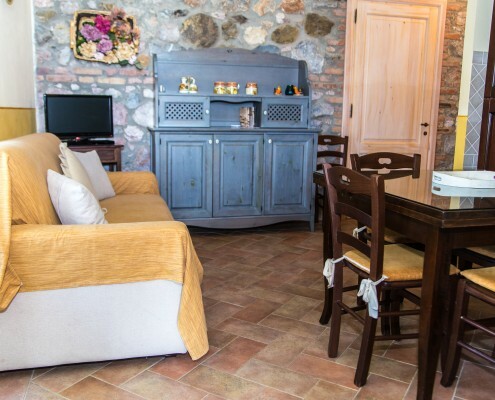 Tastefully decorated in Maremma’s country style, has 2 TV LED, wi-fi, CD / DVD, volumetric alarm system and a safe with numeric code, washing machine and air conditioning / winter heating in all rooms. 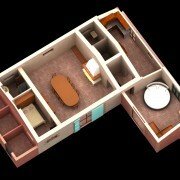 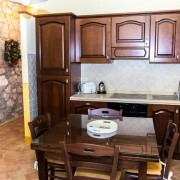 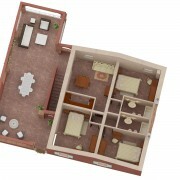 It is located on the ground floor of the complex, it is a great apartment of 95 square meters. 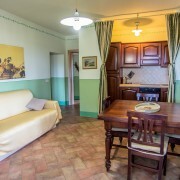 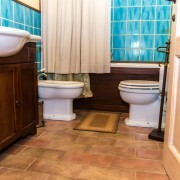 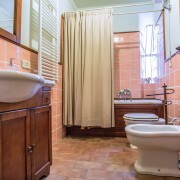 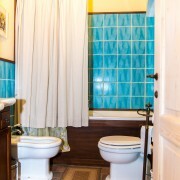 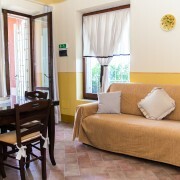 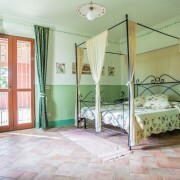 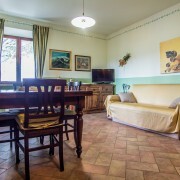 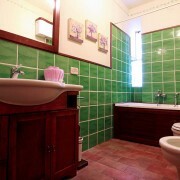 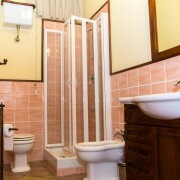 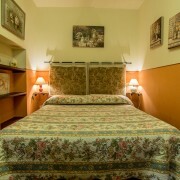 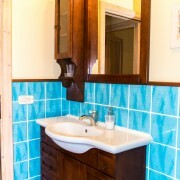 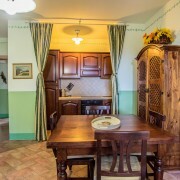 It consists of two adjoining apartments with two large double bedrooms, two bathrooms – one with jacuzzi bath and the other one with shower, the sink, toilet and bidet, two living room with double sofa bed for 2 people, small tiled garden, big dinning room with big table for 30 people and a big kitchen. 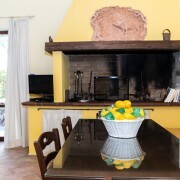 A living room has a working fireplace. 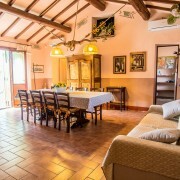 Fabulous villa composed of a main building of about 250 sqm plus porches and covered terraces for additional 100 square meters and a separate guest house of about 100 square meters. 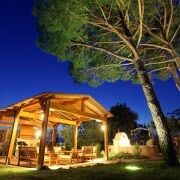 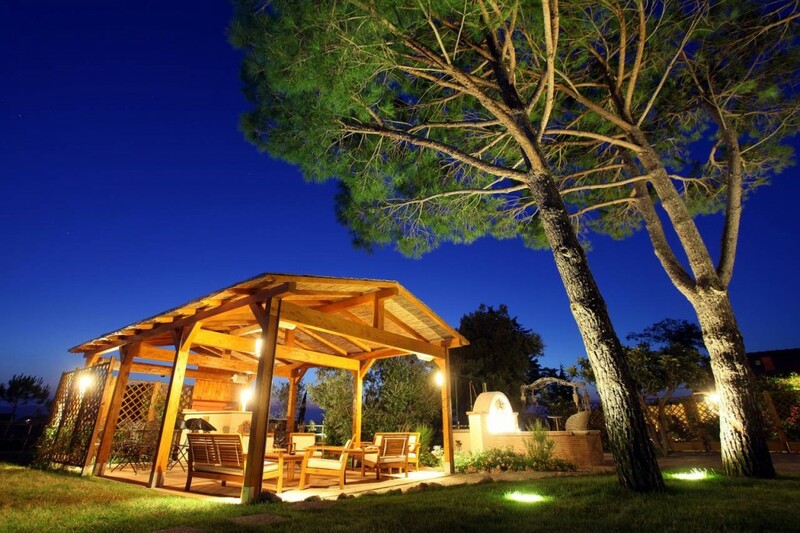 The villa has a large garden of about 4000 sqm with spacious gazebo / bar and swimming pool 15 x 5 meters in natural travertine with waterfall. 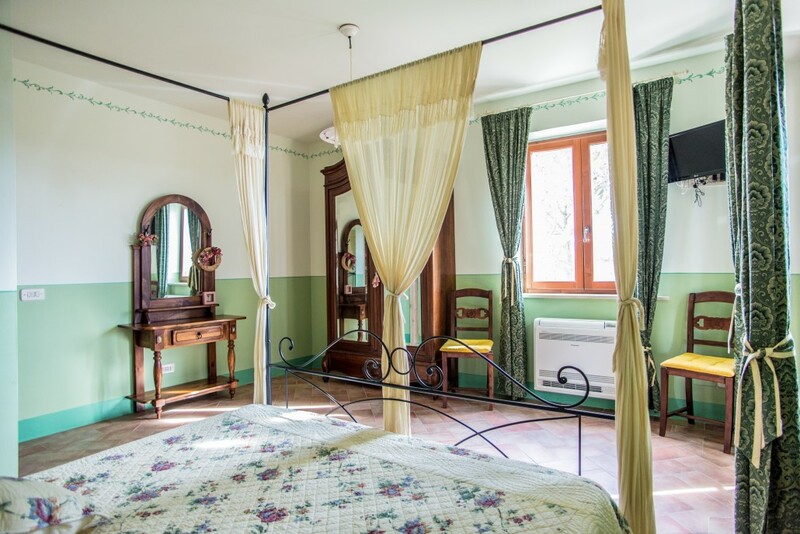 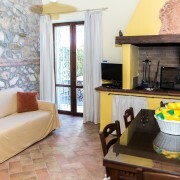 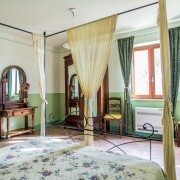 The whole structure is gracefully furnished in Maremma’s country style, it has 7 LED TV including a 40 “inches, wi-fii, CD / DVD / BlueRay, volumetric alarm system and a safe with numeric code and air conditioning / heating in winter in all the rooms. 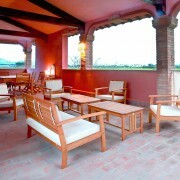 The gazebo hosts tables, chairs and sun loungers and has a kitchen / bar for dinners and barbecues.